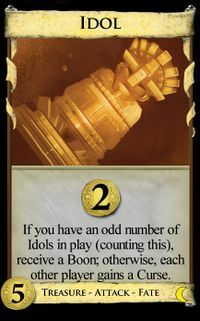 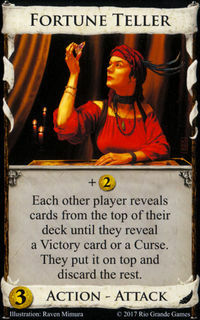 Each other player reveals cards from the top of their deck until they reveal a Victory card or a Curse. 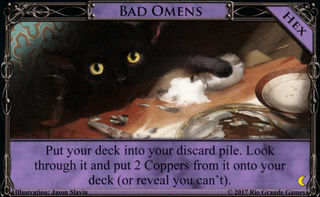 They put it on top and discard the rest. 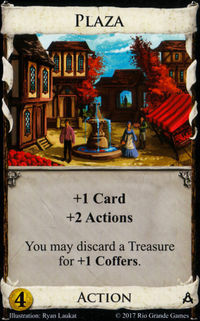 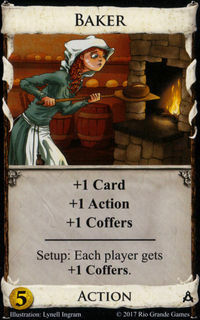 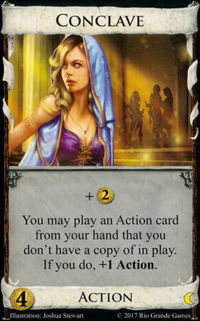 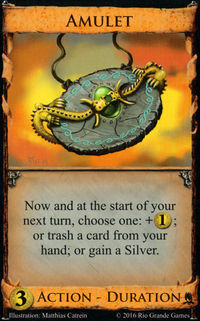 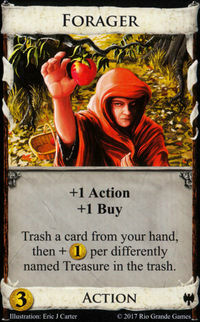 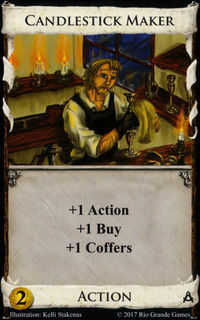 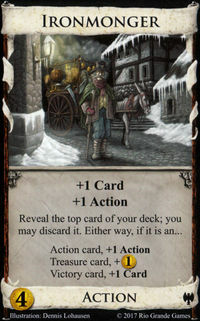 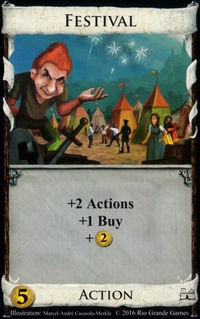 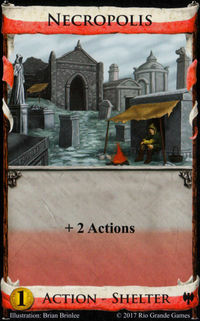 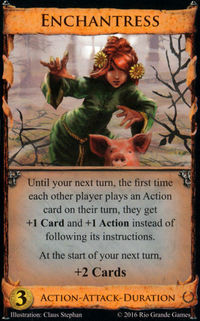 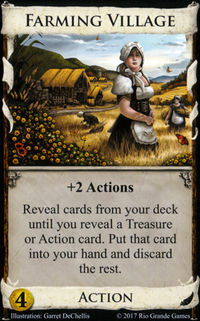 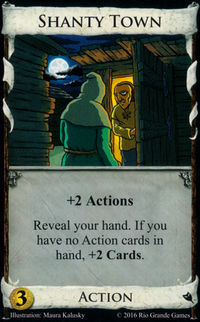 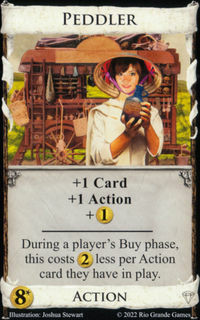 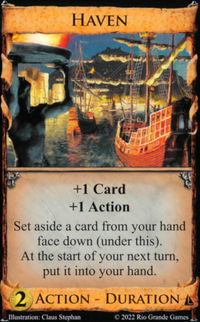 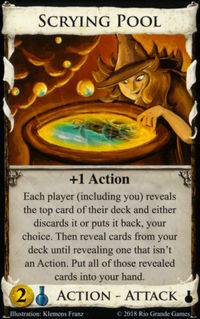 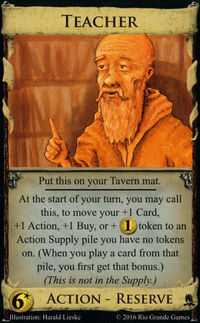 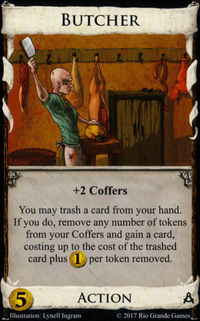 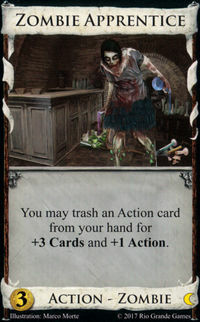 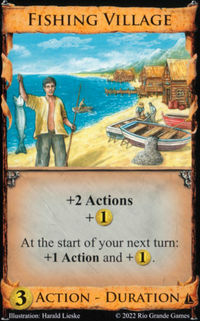 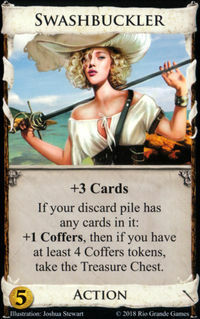 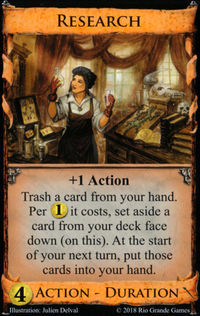 Fortune Teller is an Action-Attack card from Cornucopia. 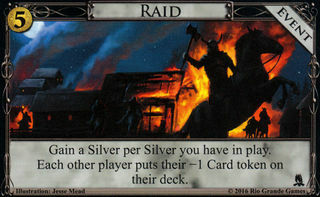 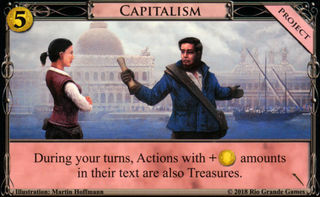 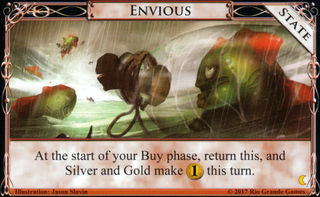 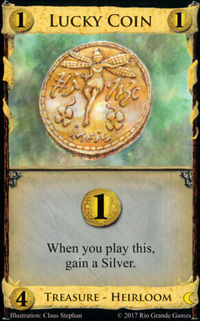 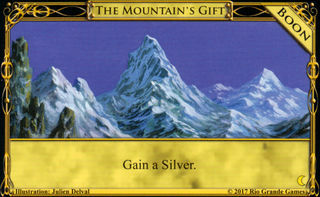 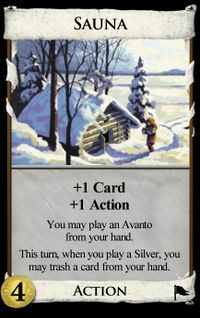 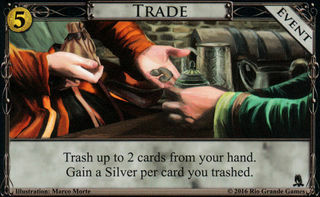 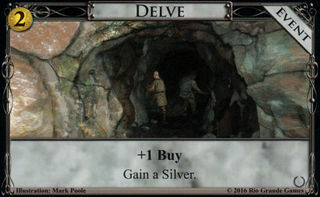 It is a terminal Silver, since it gives + and no +Action, and as a bonus it has a minor attack - it forces the opponent to discard a bunch of Action or Treasure cards and leave a Victory or Curse card on top of their deck. 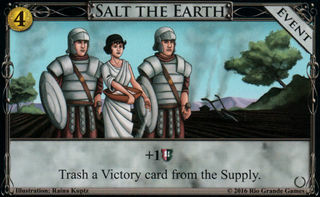 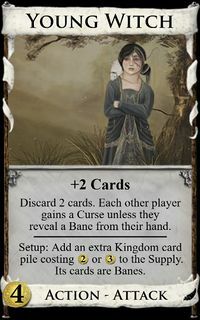 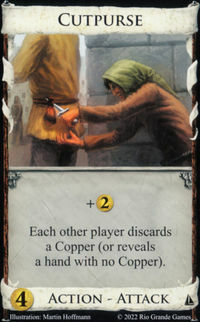 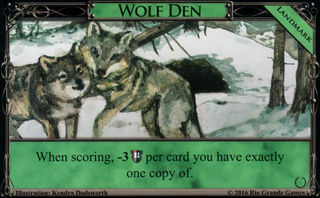 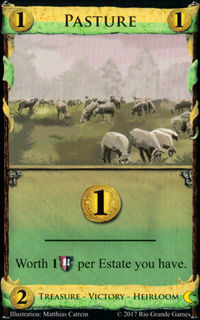 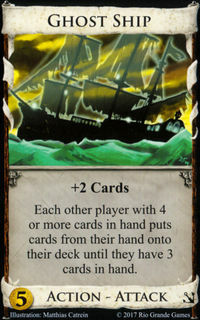 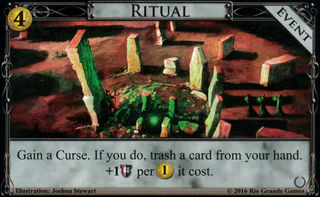 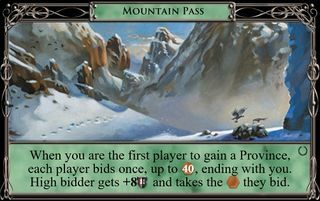 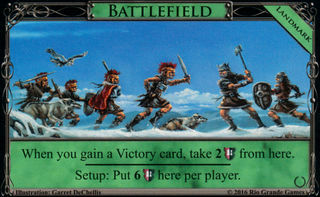 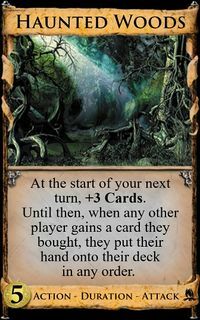 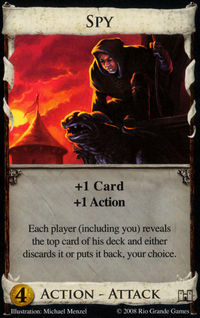 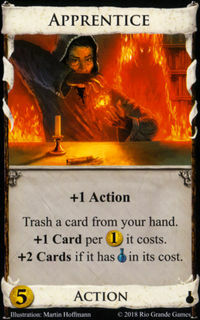 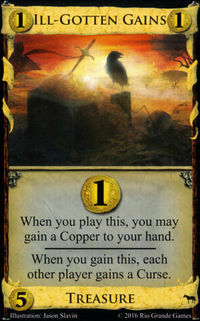 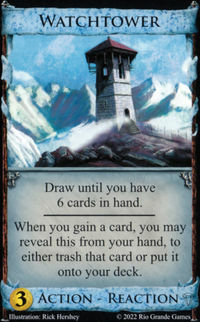 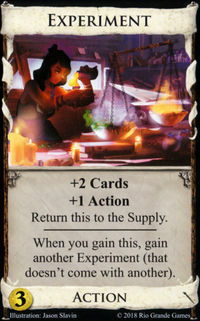 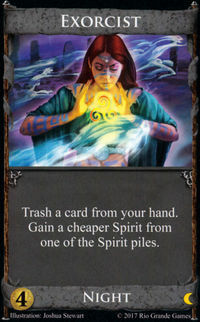 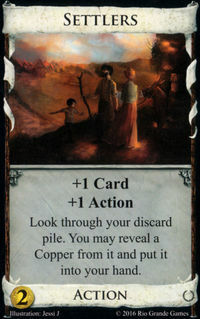 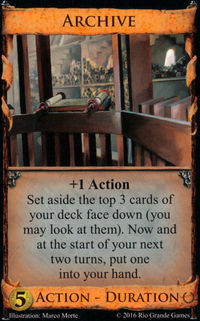 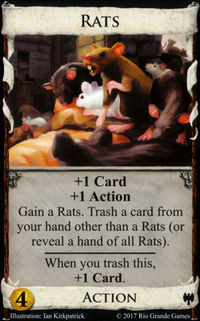 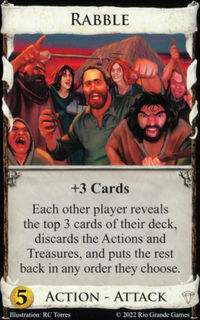 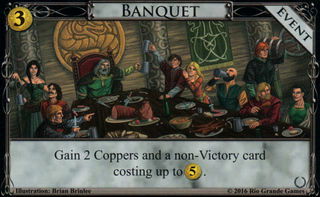 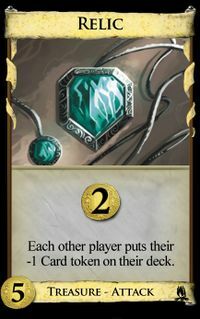 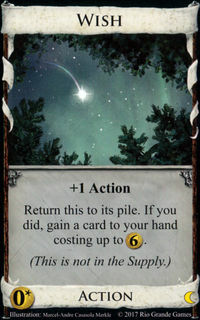 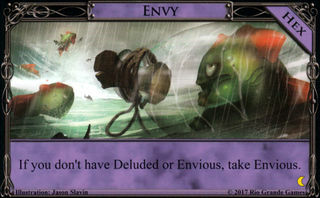 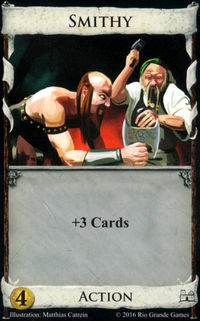 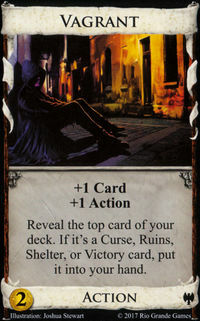 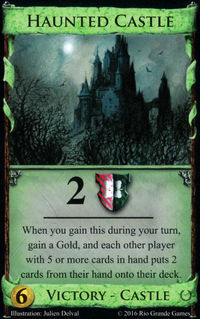 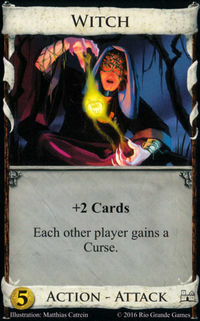 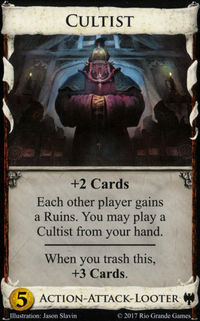 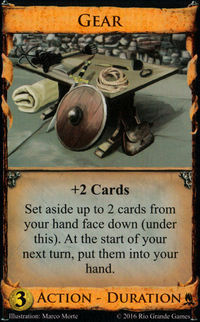 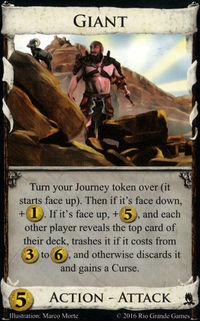 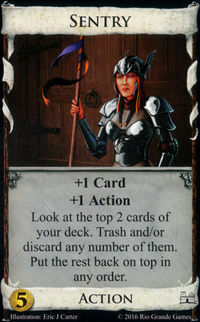 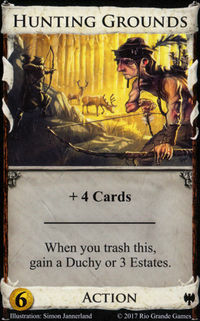 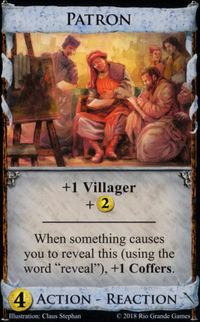 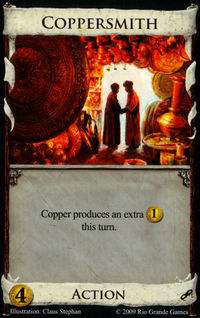 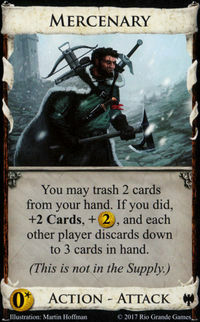 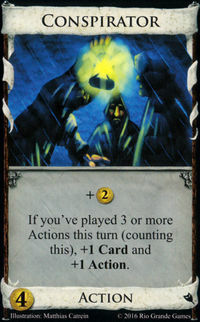 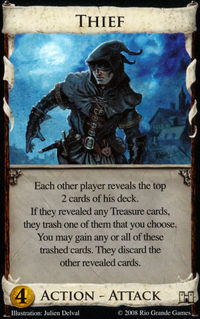 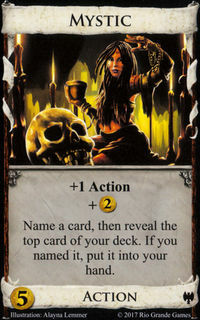 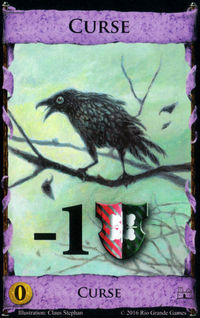 Each other player reveals cards from the top of their deck until they reveal a Victory or Curse card. 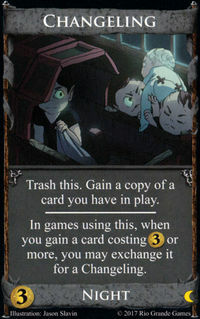 If they do not find one (even after shuffling), they just discard all of the revealed cards. 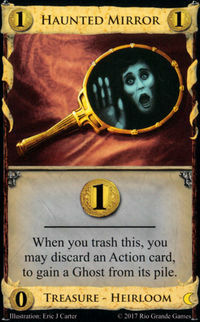 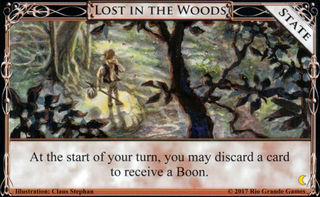 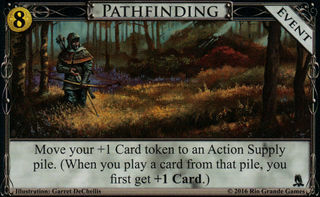 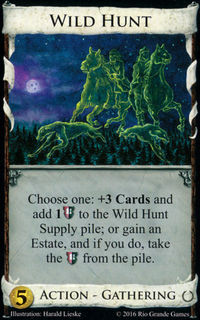 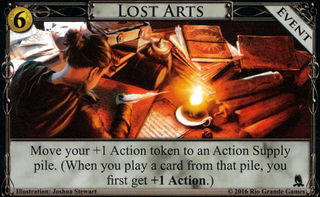 If they do find one, they put the Victory or Curse card on top of their deck, and discards the other revealed cards. 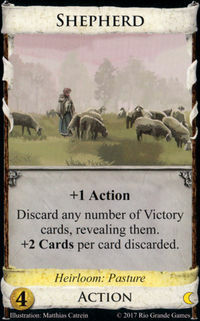 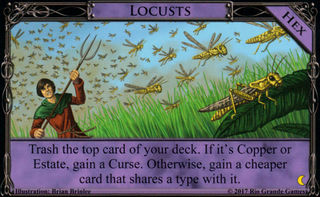 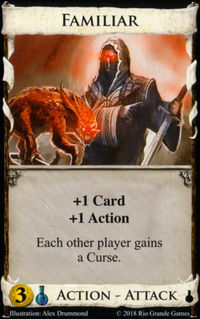 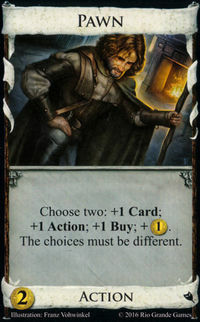 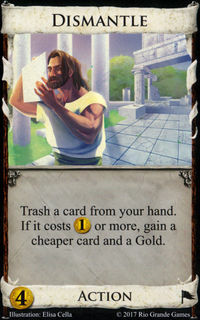 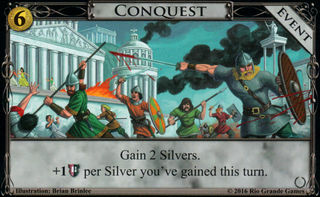 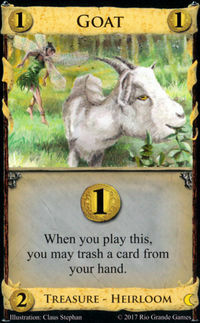 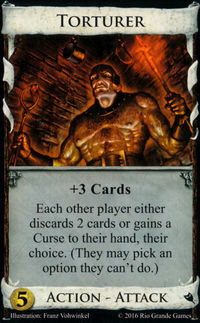 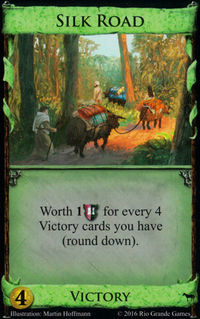 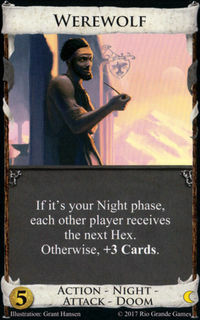 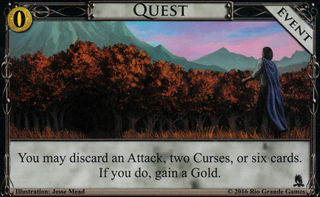 You do not choose Victory or Curse - they stop on the first card that matches either type. 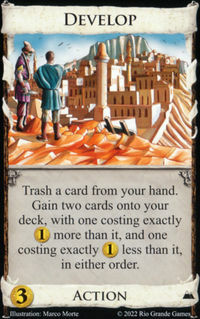 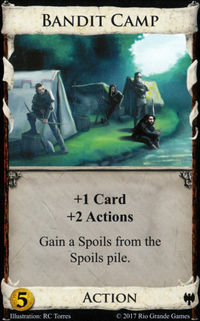 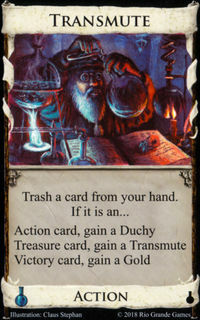 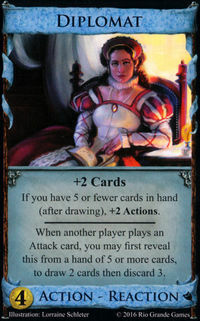 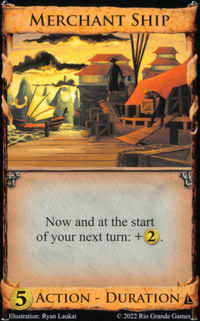 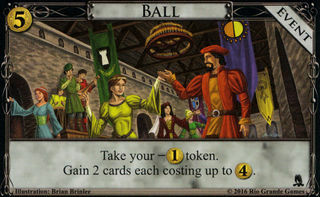 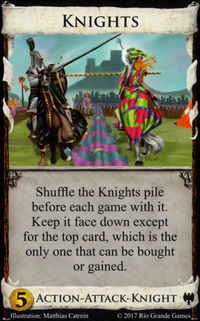 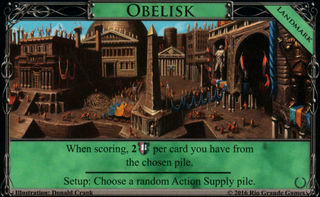 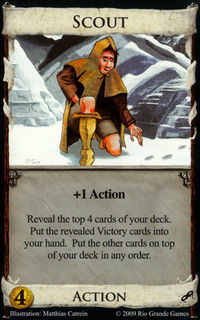 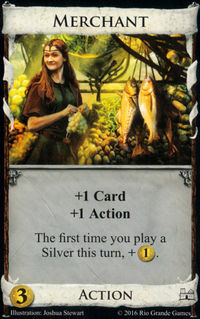 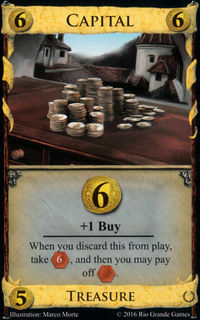 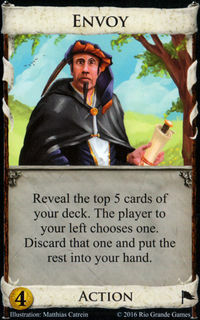 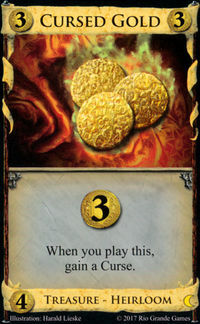 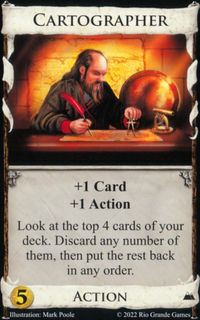 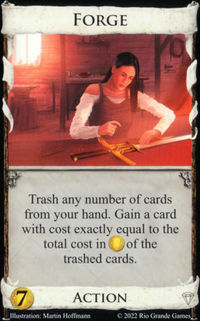 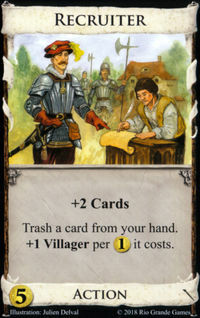 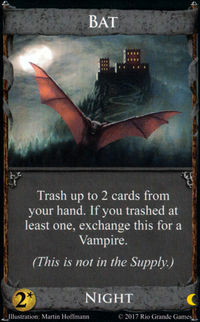 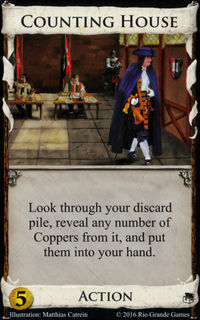 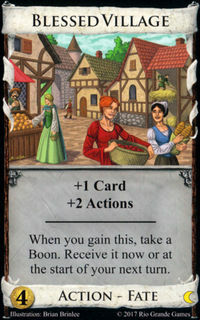 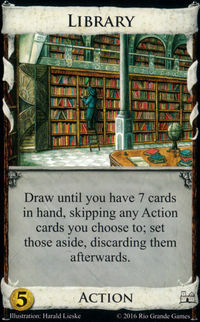 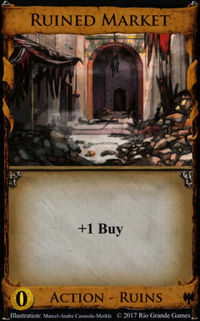 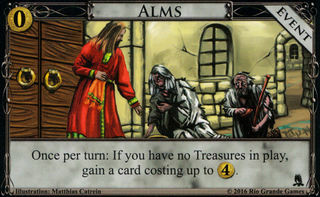 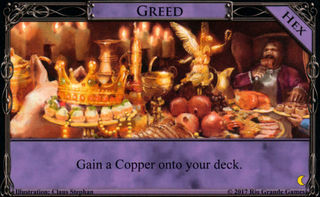 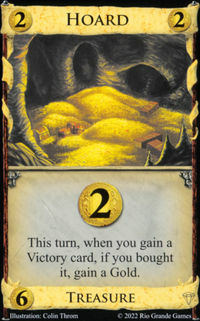 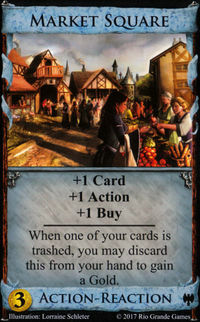 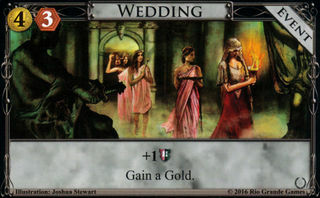 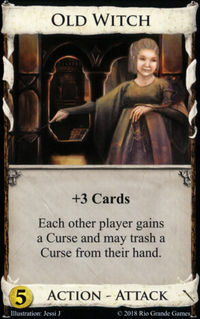 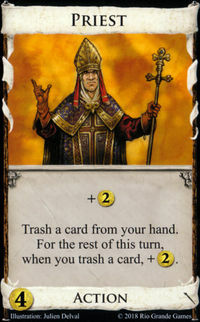 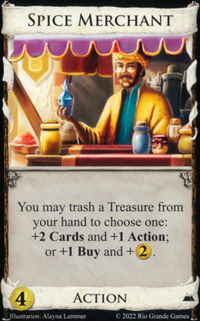 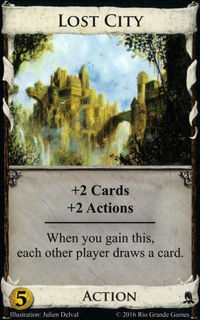 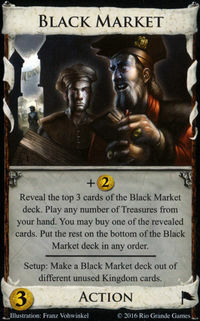 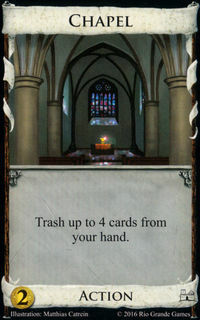 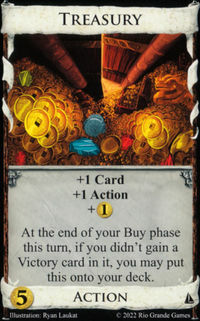 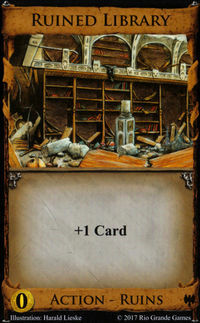 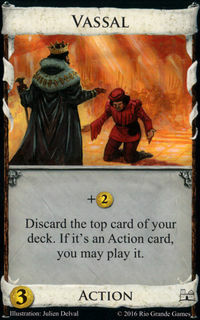 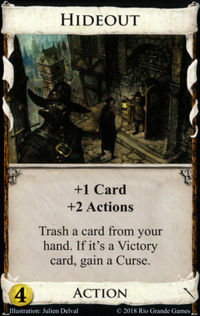 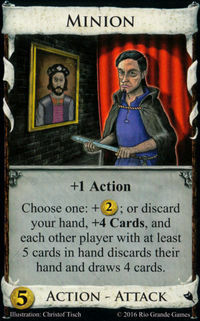 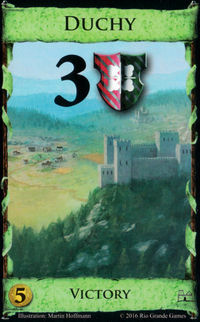 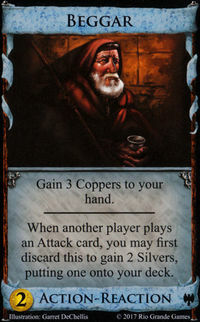 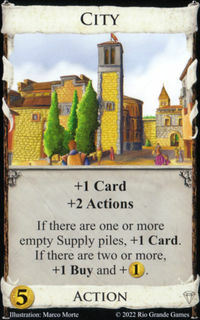 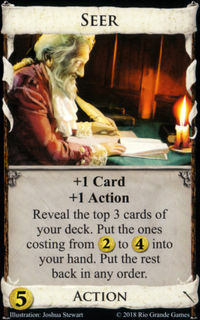 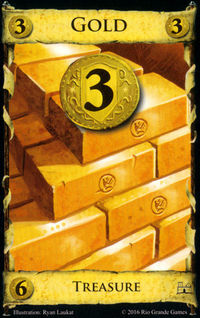 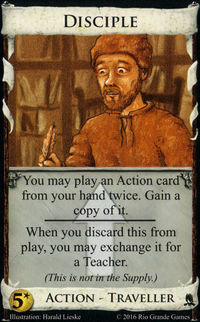 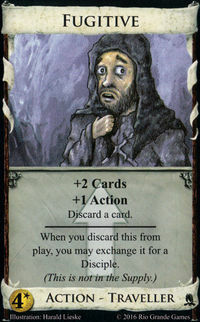 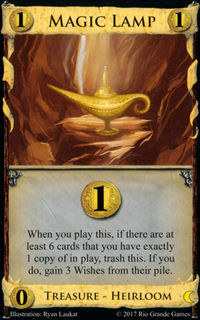 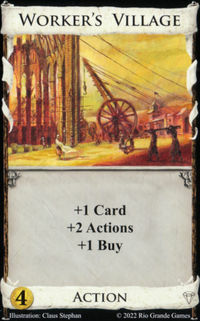 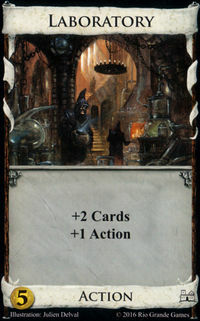 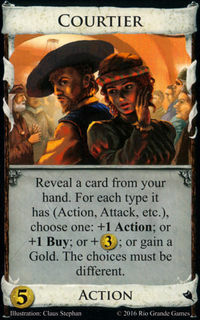 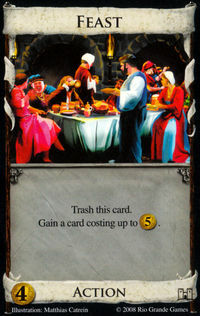 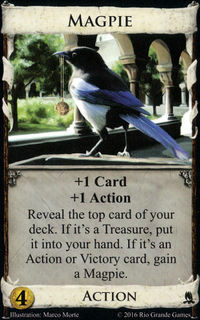 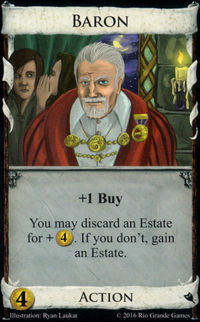 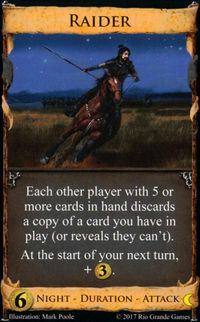 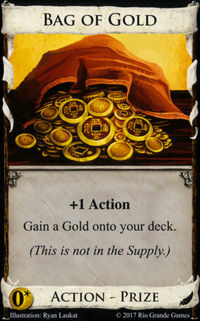 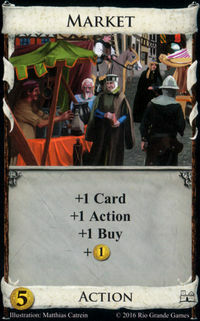 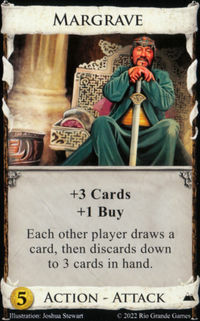 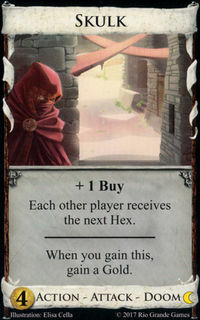 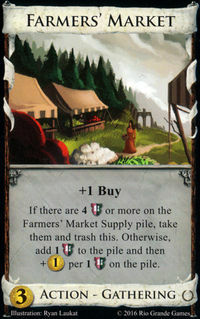 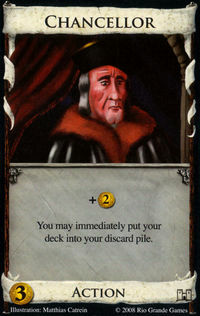 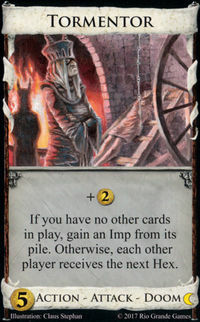 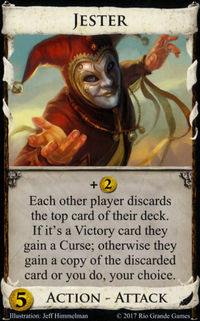 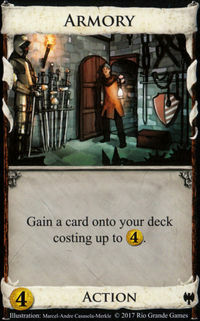 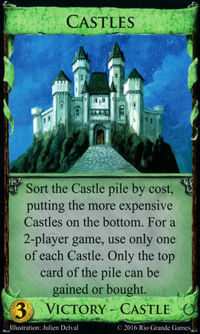 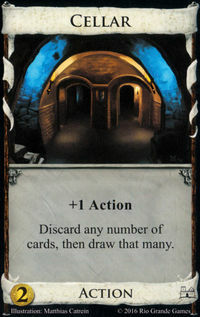 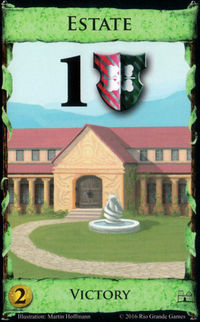 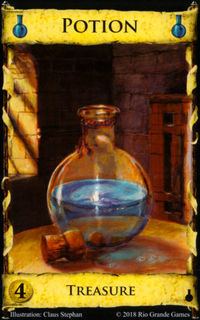 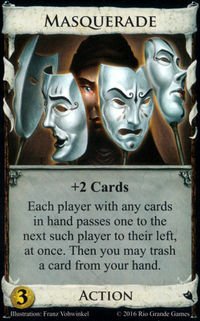 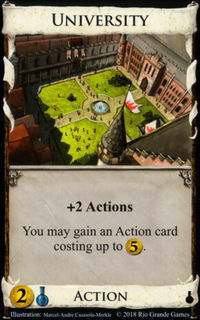 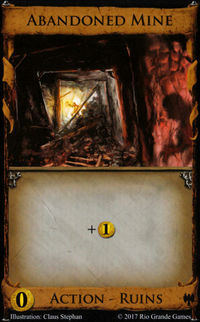 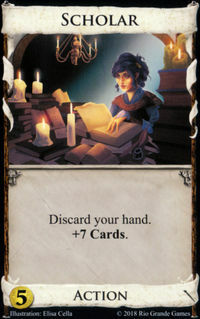 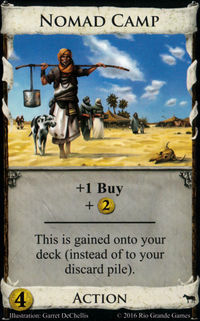 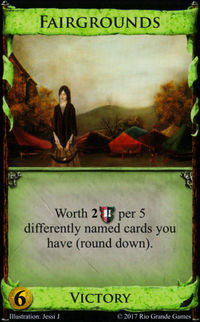 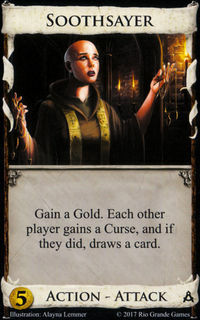 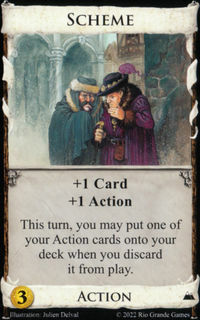 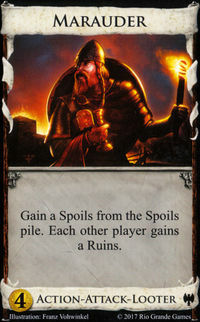 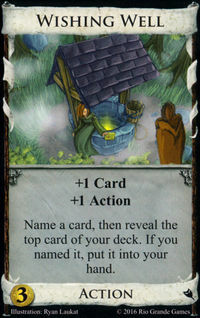 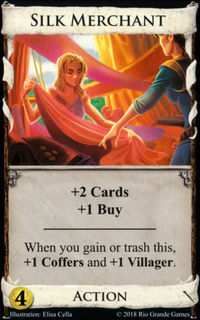 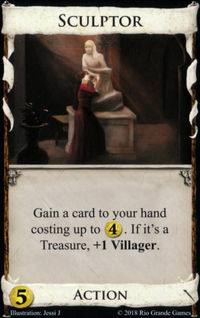 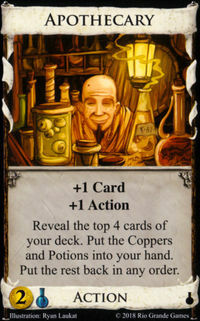 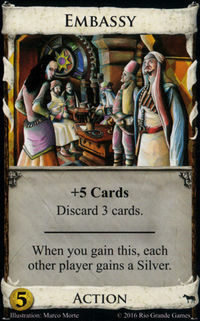 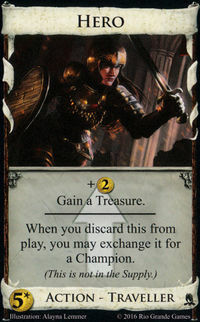 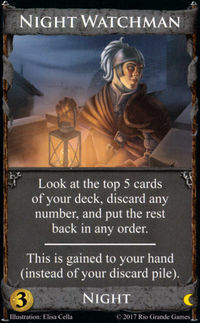 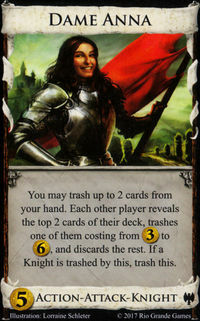 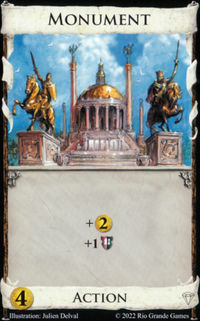 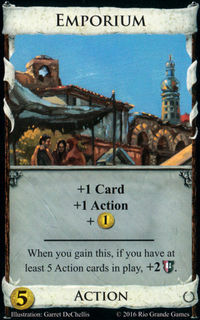 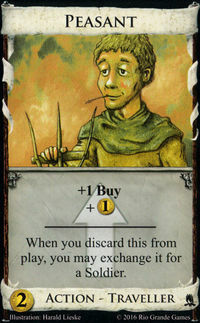 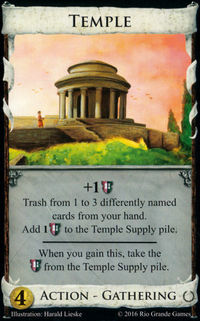 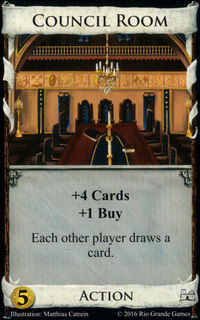 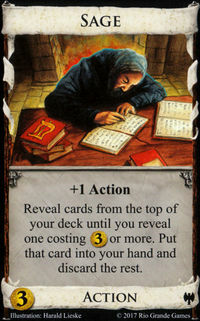 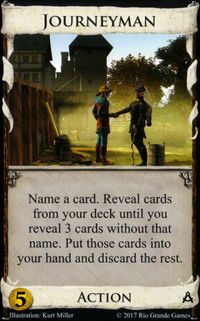 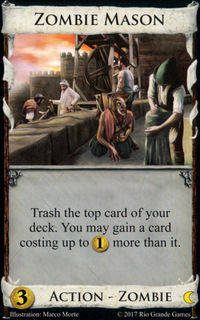 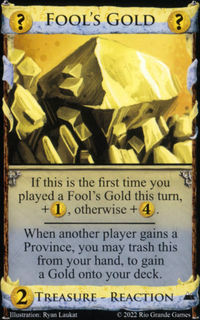 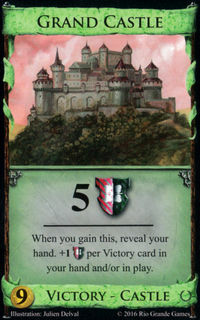 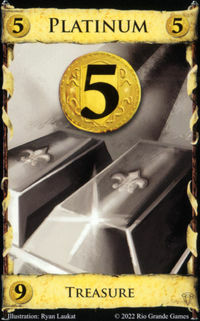 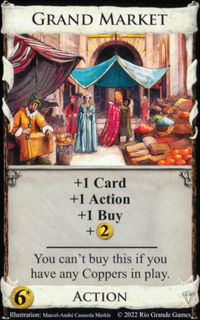 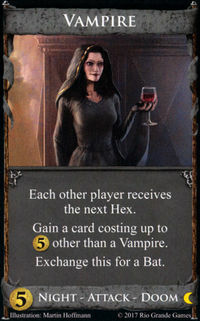 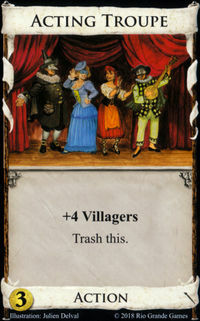 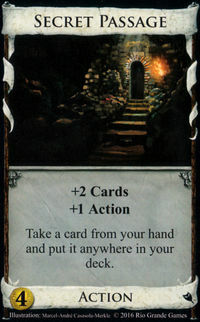 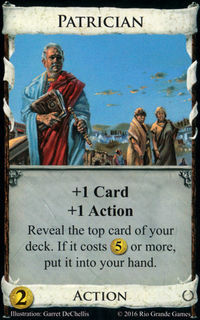 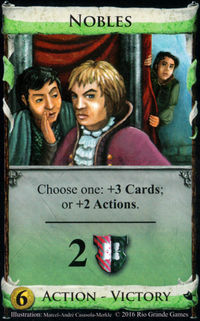 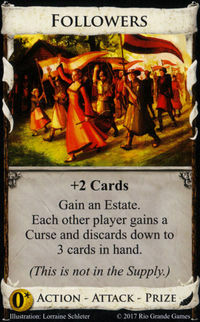 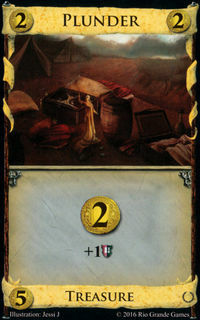 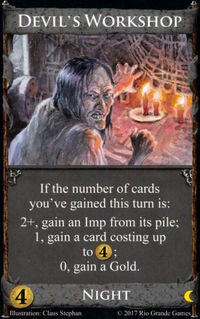 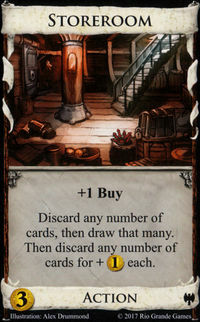 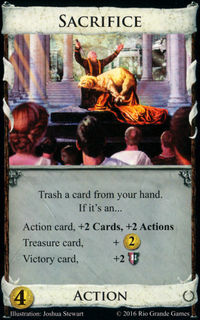 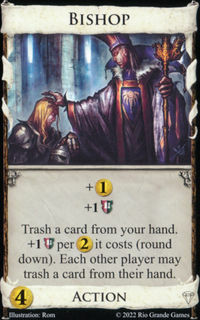 Cards with Victory as one of multiple types, such as Nobles , are still Victory cards and can be left on top by Fortune Teller. 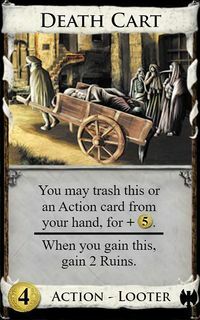 Fortune Teller is one of the more underrated Attacks in the game. 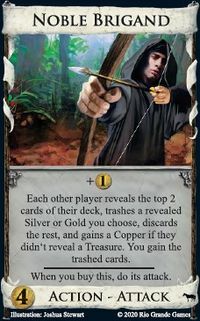 The problem is that it’s a deck top attack, which is subtle if you’re not paying much attention (particularly online where you don’t actually have to physically discard cards or click anything). 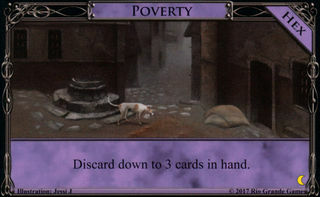 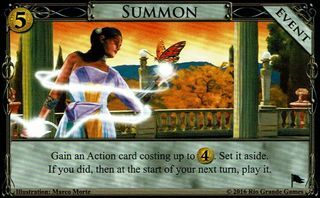 You don’t have to discard cards from your hand, and you don’t get a big purple card in your deck to catch your attention. 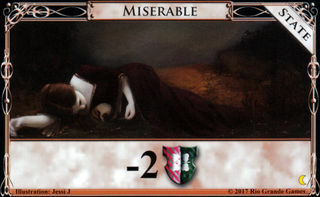 You may just feel like you’re getting worse draws than usual. 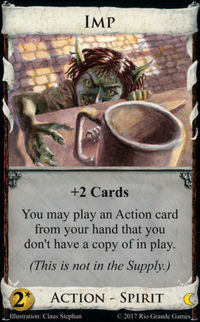 But this isn’t a matter of draw luck, it’s the Attack at work. 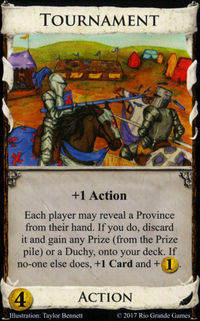 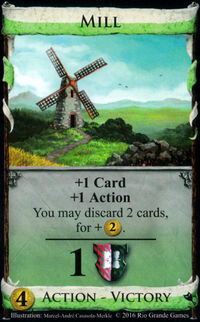 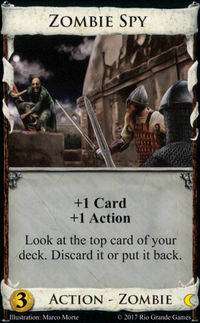 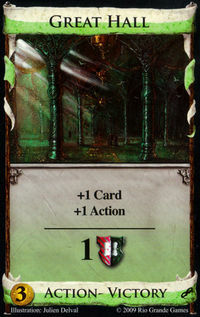 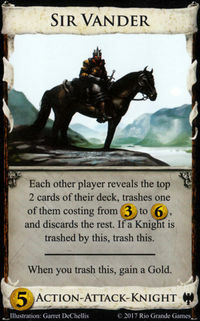 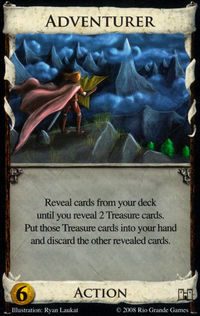 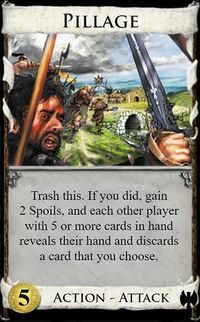 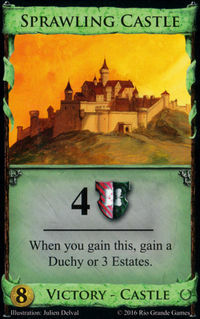 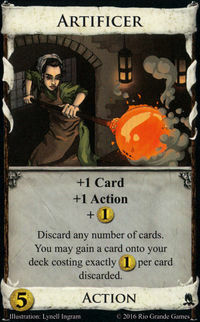 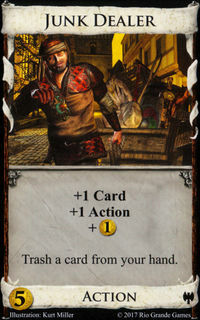 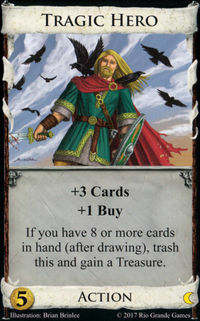 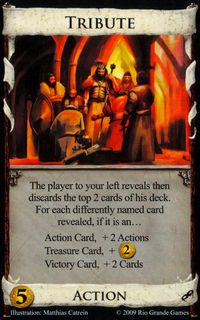 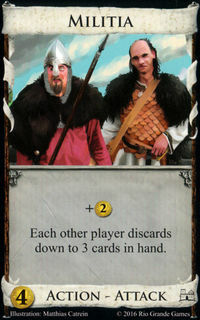 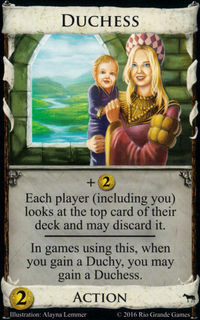 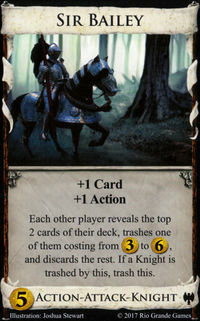 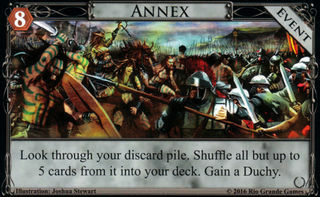 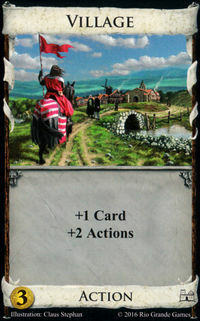 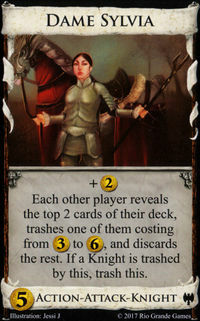 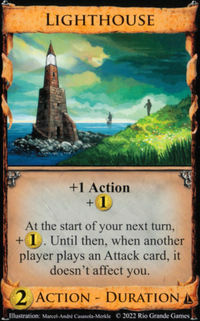 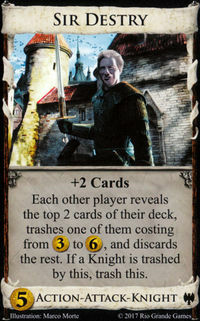 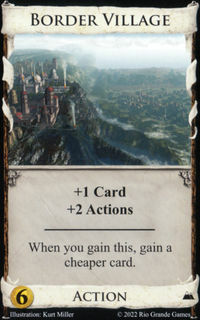 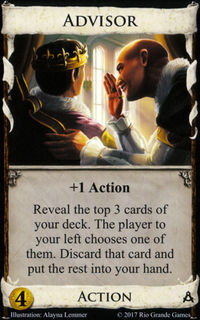 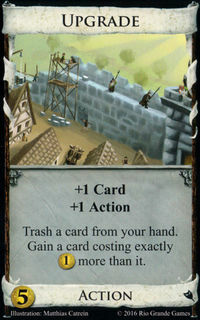 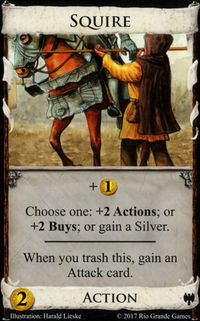 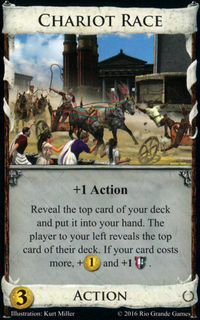 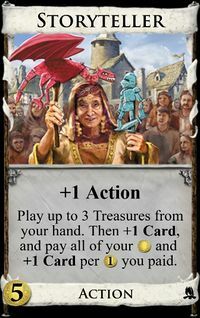 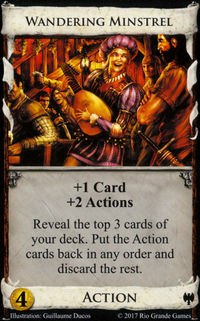 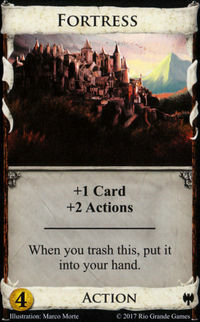 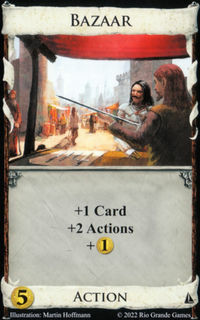 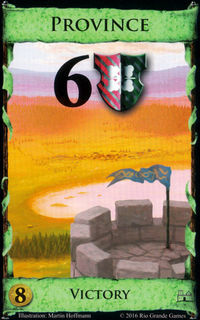 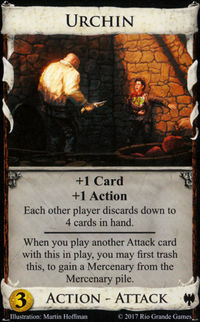 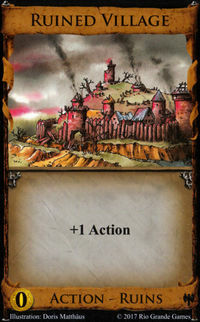 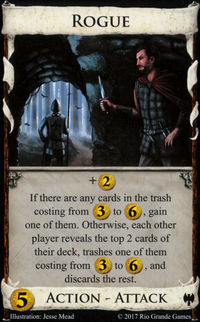 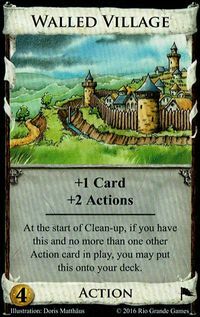 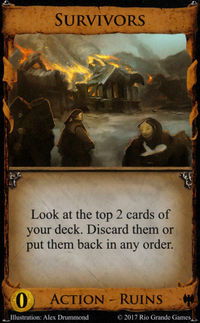 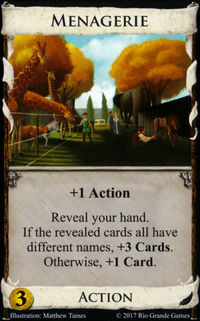 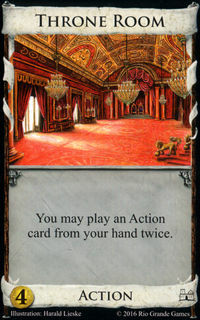 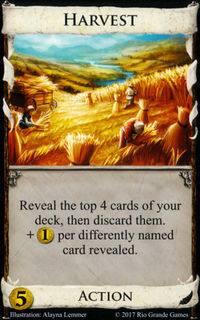 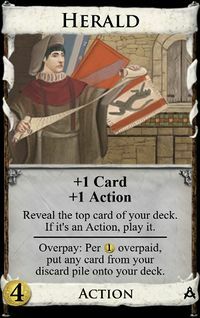 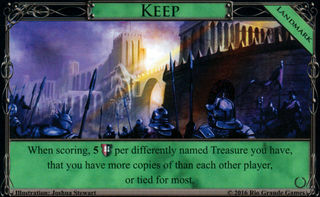 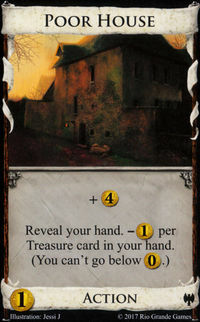 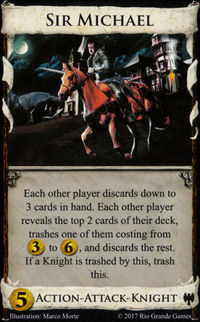 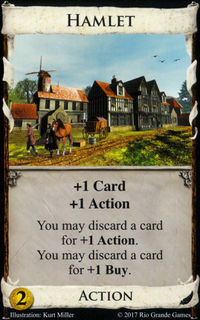 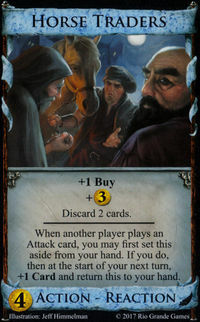 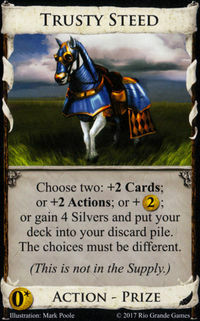 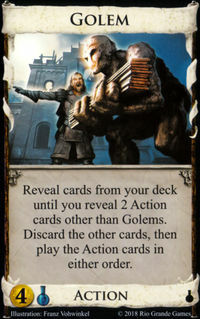 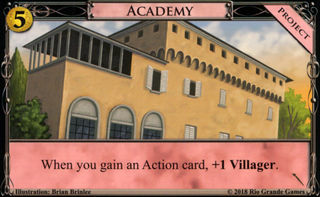 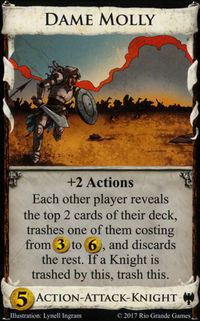 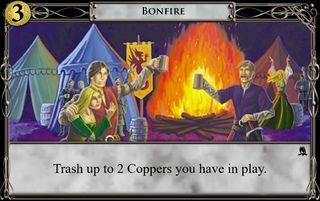 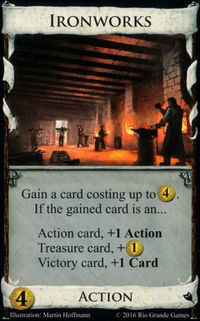 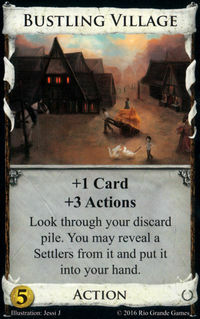 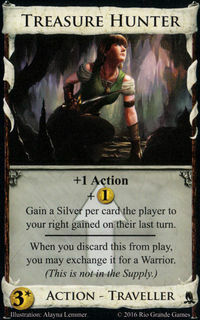 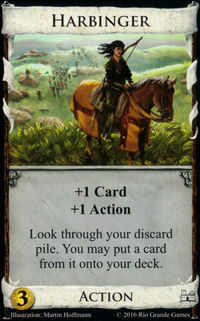 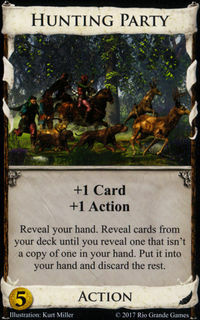 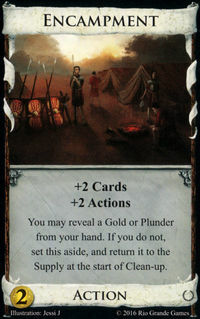 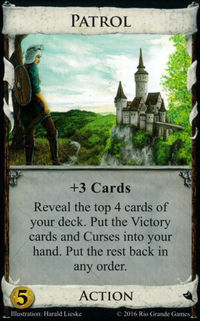 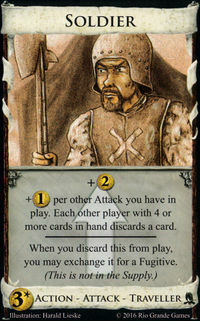 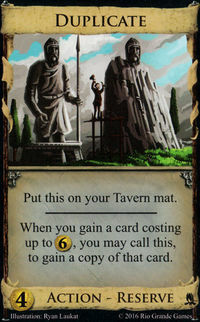 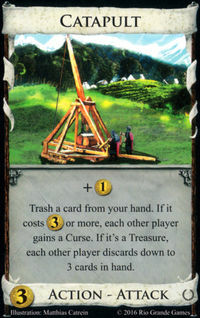 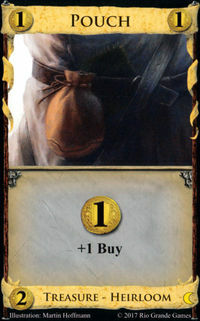 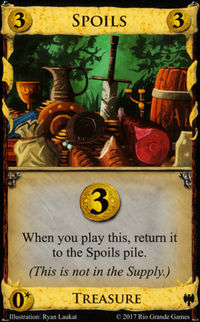 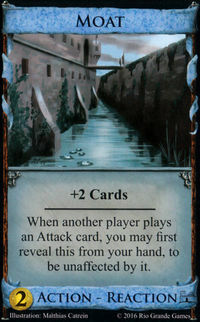 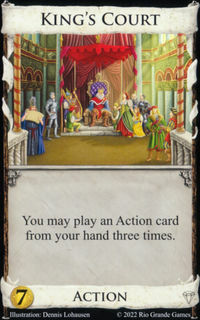 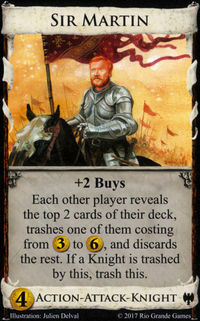 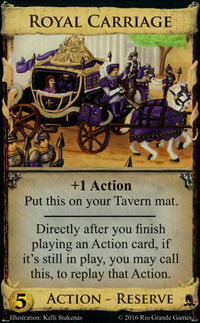 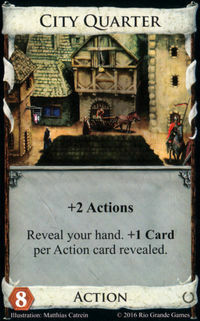 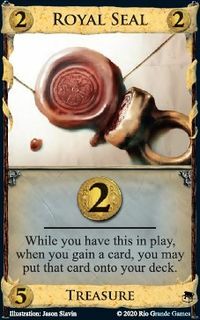 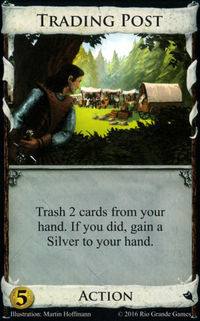 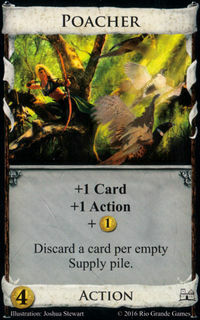 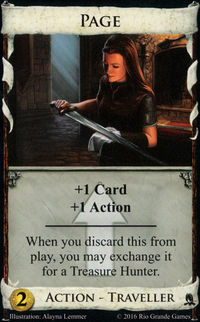 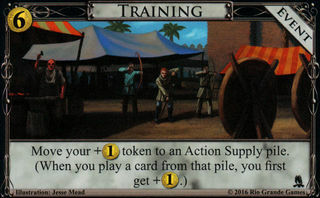 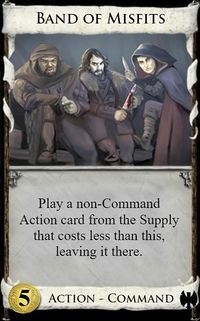 Attacks are very often the most important cards in a given kingdom. 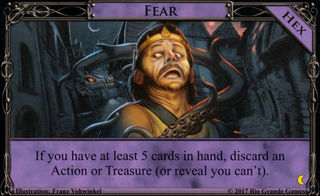 You have to be aware of the type of deck that the Attacks thrive against. 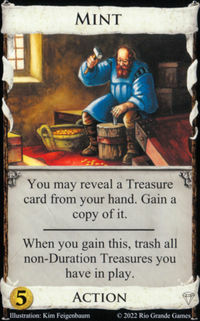 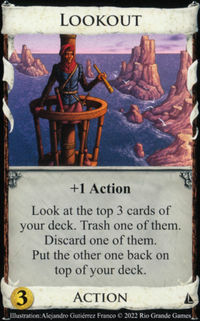 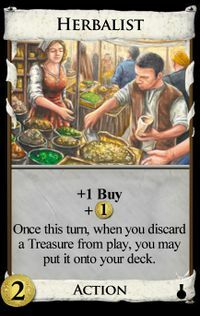 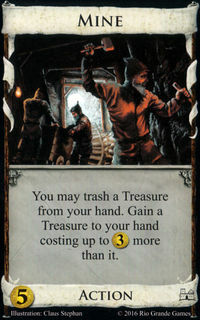 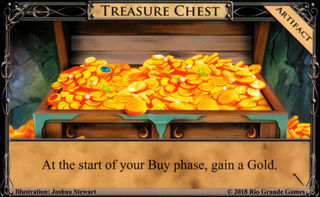 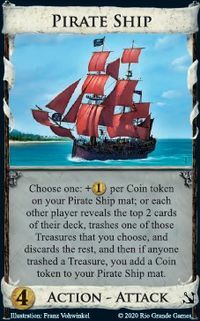 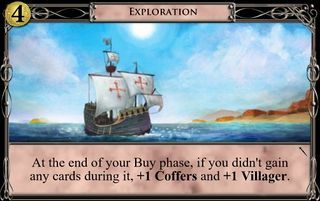 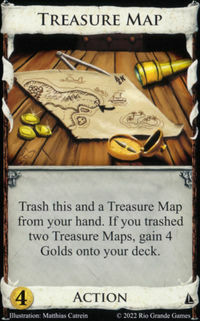 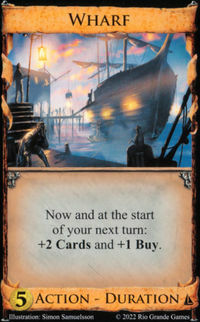 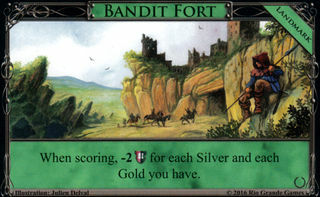 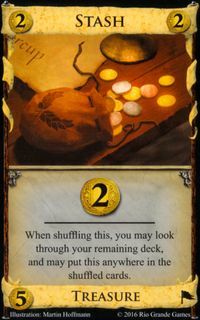 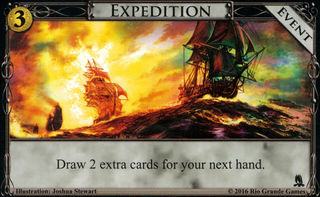 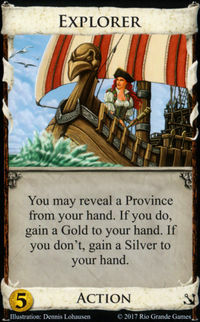 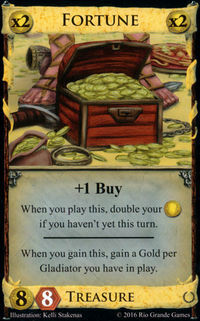 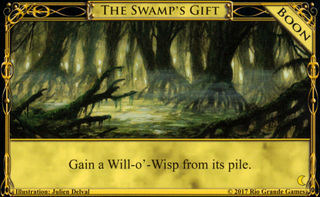 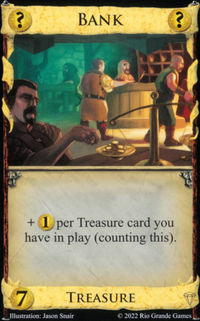 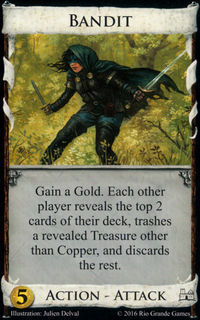 If your opponent’s deck doesn’t have much need for Treasure, then Treasure Attacks like Thief , Pirate Ship , and Noble Brigand are not going to be useful, but if they’re going for a high density of big Treasures, then they will be. 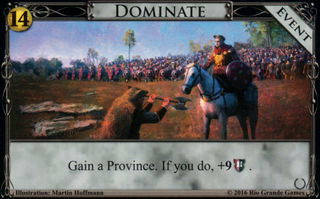 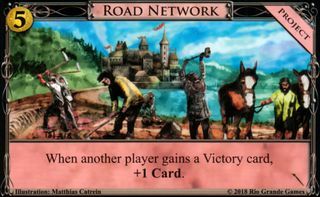 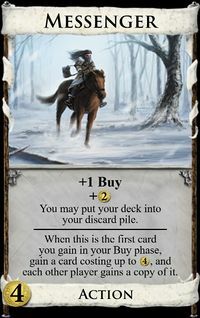 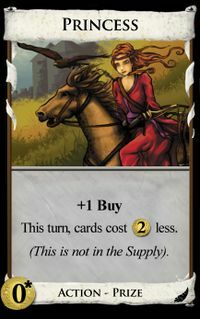 The big impact of Noble Brigand is not that it is a must-buy Attack every time, but rather that it disables big money strategies, which means you have to consider building a deck to avoid it when you’re planning out your strategy. 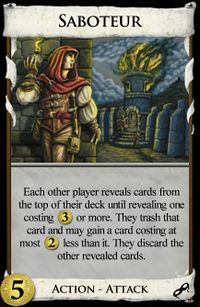 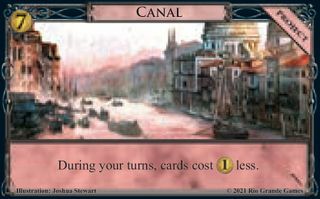 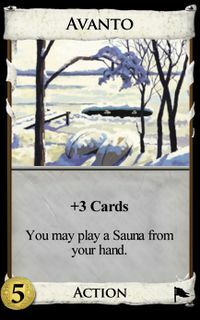 Consider a deck with N cards that sees an average of M cards per turn. 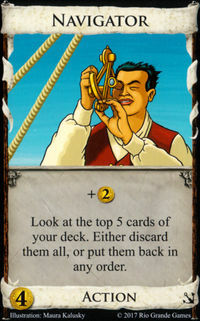 Then the probability of seeing any given card on a given turn is M/N. 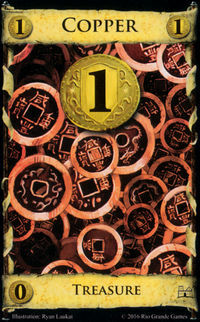 When attacked by Fortune Teller (assuming there is a Victory card or Curse to leave on top), the probability of seeing a given card is something like (M-1)/(N-1). Since M≤N, this second quantity is smaller than the first, and the percentage difference is much greater for small ratios M/N. 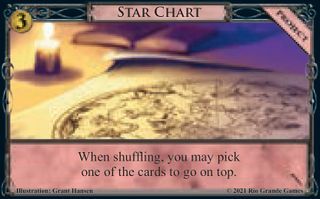 Consider a deck with no drawing (M=5) and N=20 cards. 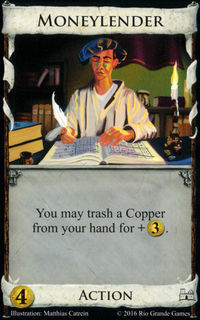 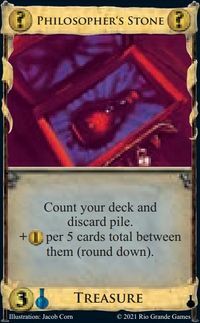 The probability of seeing any given (non-Victory or Curse) card is 5/20 = 0.25. 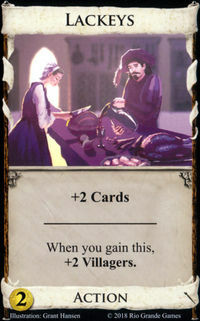 When attacked by Fortune Teller, it is 4/19 = 0.21. 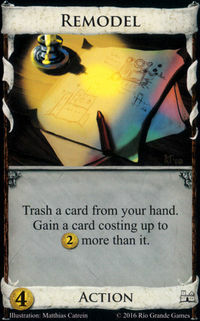 This means you see your good cards (0.04/0.25=)16% less often! 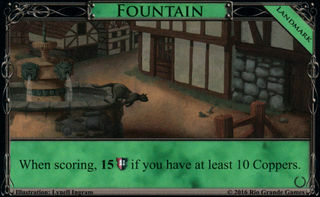 On the other hand, if you draw M=10 of your N=15 cards every turn, you go from 10/15 = 0.67 to 9/14 = 0.64, which is a decrease of less than 5%. 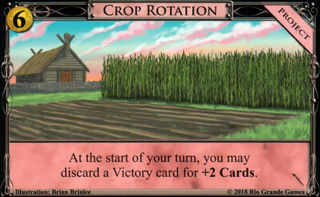 The impact could be greater, since your drawing cards will show up less often, thus decreasing the numerator by more than 1, but this is still a long way from the 16% figure for the larger deck without drawing. 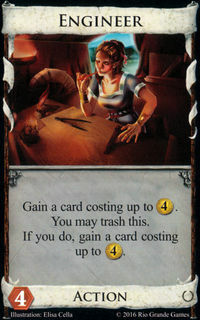 Of course just computing this average doesn’t tell the whole story. 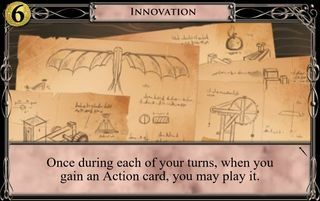 In reality, you must see each card an integer number of times, your turns are not independent, and your deck changes over time. 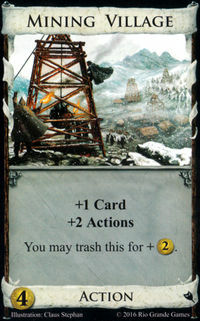 But the main takeaway still holds true. 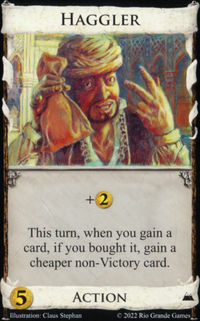 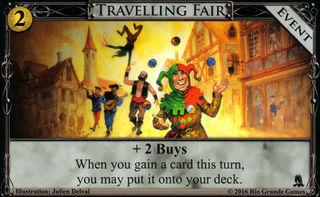 When you’re attacked by a Fortune Teller, even though you're shuffling more, you're seeing your good cards less often! 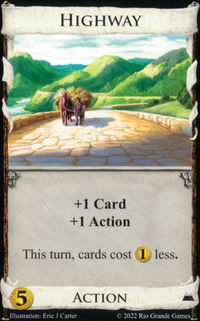 The benefits of the cycling are generally more than counteracted by the skipping of good cards. 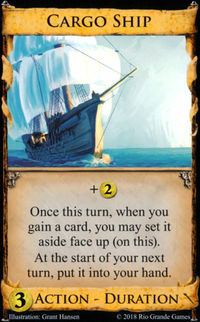 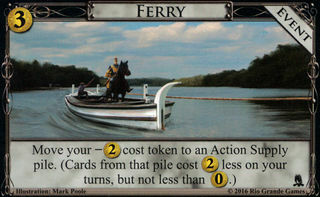 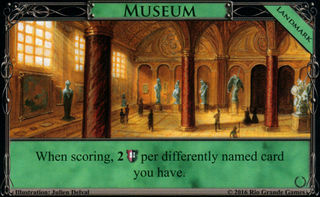 You also get a sense of the trend in terms of deck size and drawing. 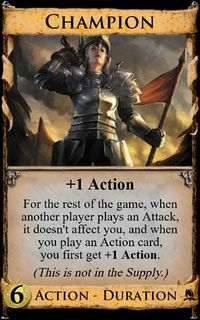 In the early game, when your deck is small, or in situations where you have a good draw engine set up, the Attack is only mildly annoying, but it can become very powerful against a slog-type deck. 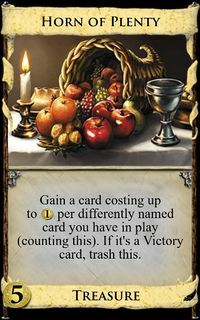 Also note that this analysis doesn’t depend on the number of good or bad cards in the deck, just the total number of cards and the average number drawn per turn. 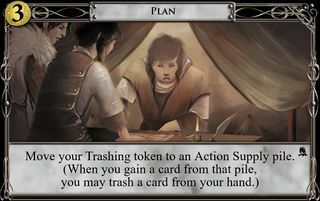 So where does that leave us in terms of strategy? 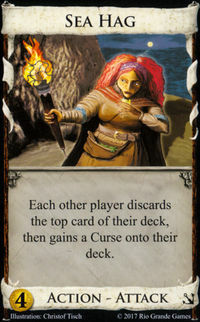 The key idea is that you want to avoid the types of decks that Fortune Teller will be strong against. 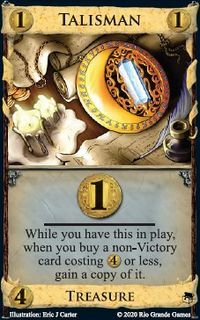 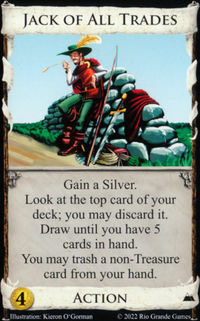 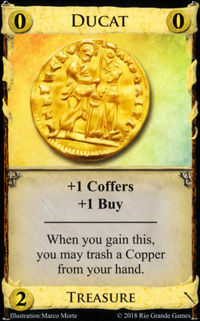 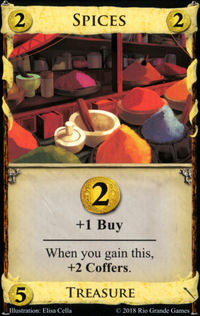 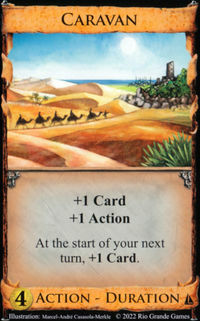 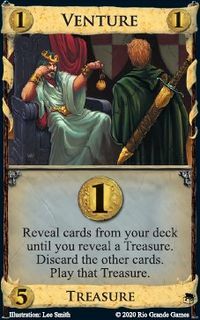 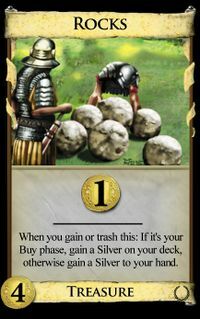 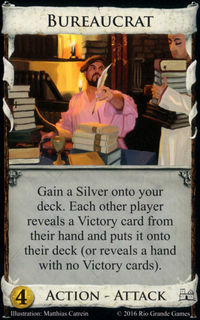 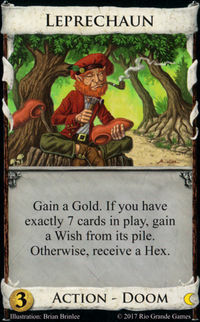 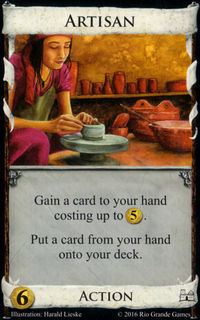 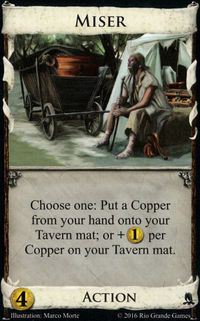 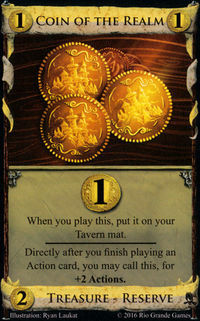 A heavy drawing strategy utilizing Fortune Teller should dominate a slog-type strategy or a strategy that relies heavily on Silver and Copper. 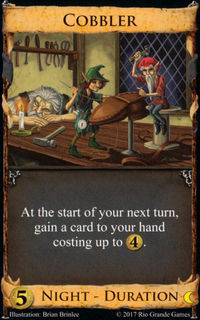 If you can’t build an engine to consistently plays Fortune Tellers, they can still be useful in slog vs slog. 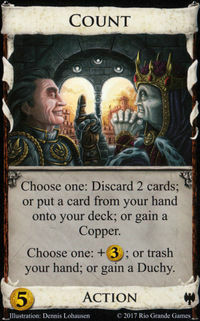 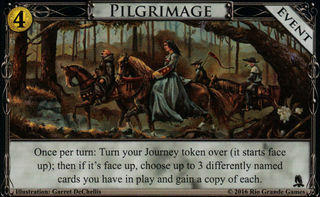 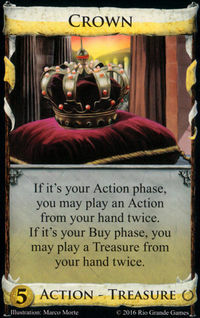 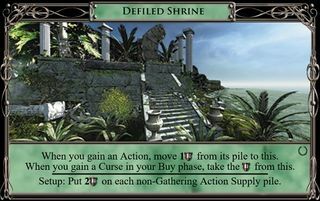 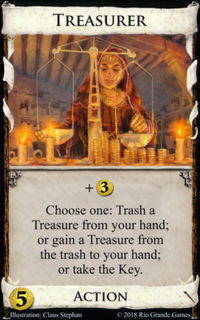 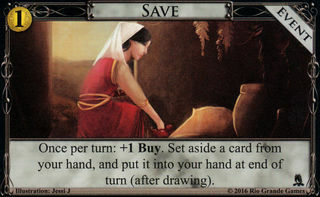 Now the interesting thing is that if you’re both going for the engine strategy, you may not want to bother using a terminal action on a Fortune Teller, since the impact will be small, but the presence of the card in the kingdom is still of importance, since it made non-engine strategies less effective. 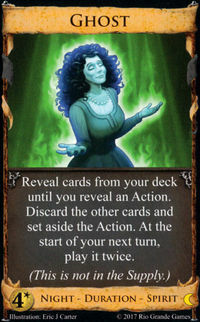 In addition to building decks which draw a good percentage of the deck, there are a few other ways to deal with the Fortune Teller attack. 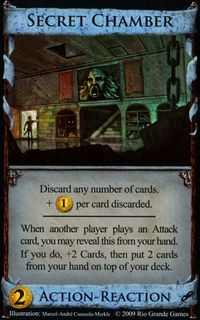 If you build a deck with no Victory cards or Curses, the attack just discards your deck and can’t leave you with a junk card. 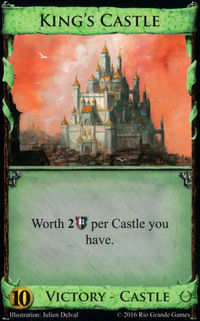 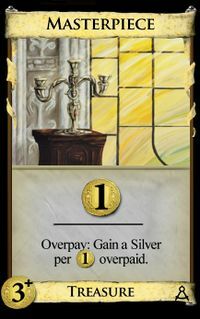 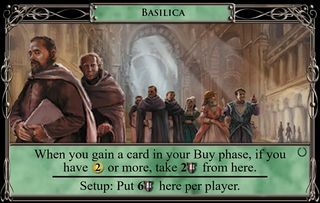 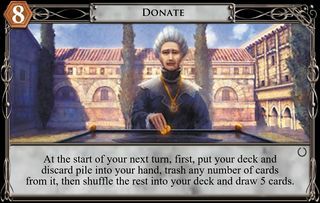 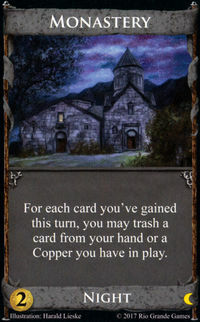 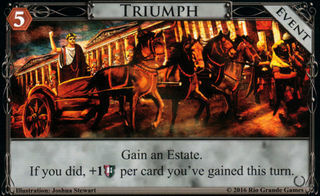 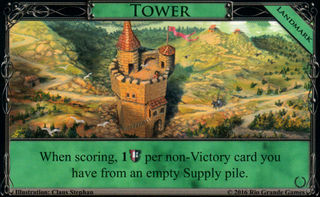 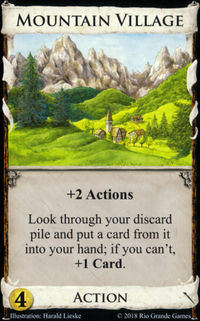 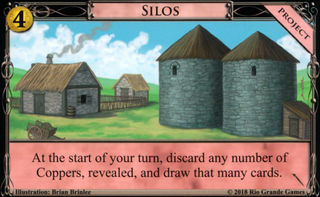 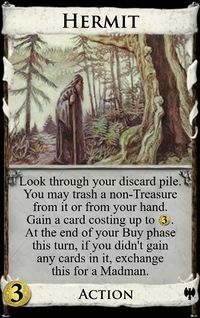 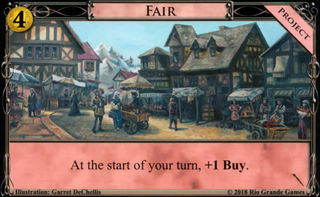 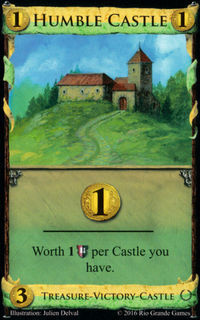 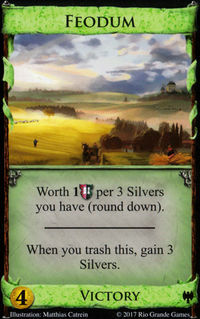 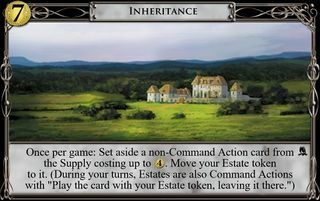 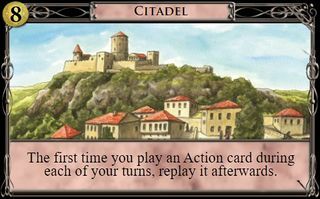 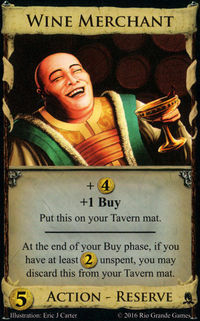 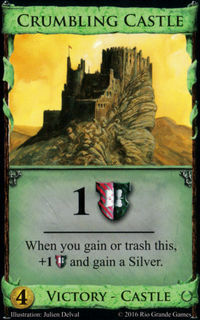 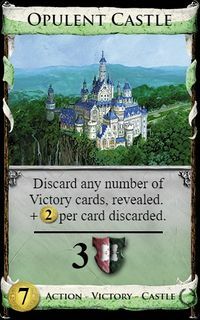 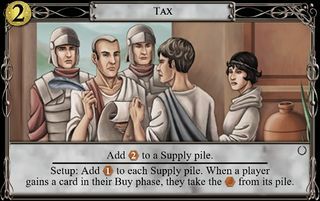 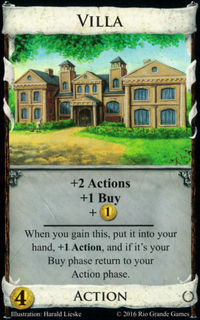 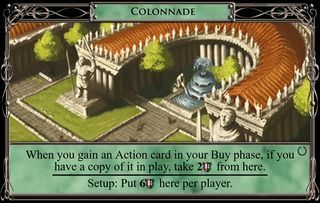 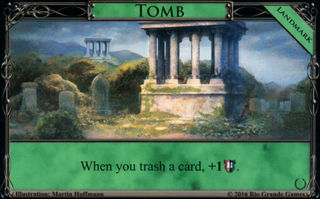 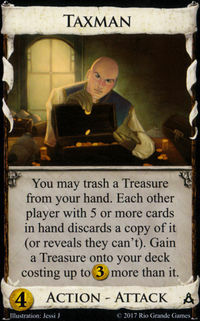 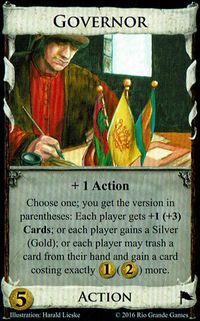 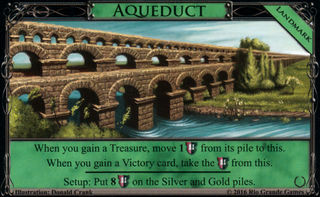 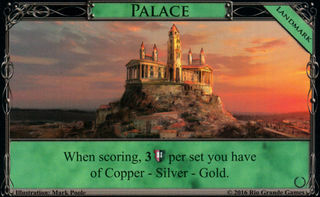 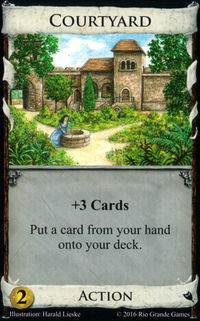 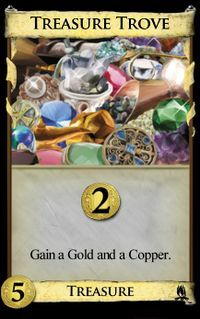 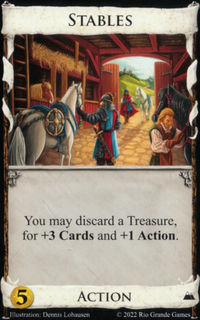 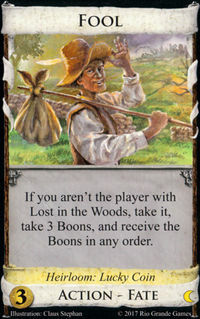 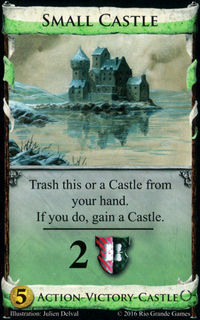 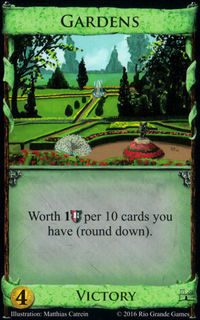 So you can go for strategies which trash Estates and green late or focus on tokens. 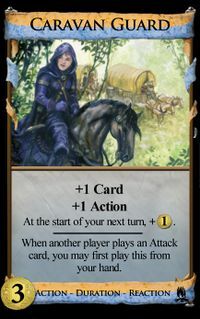 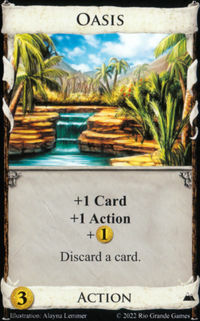 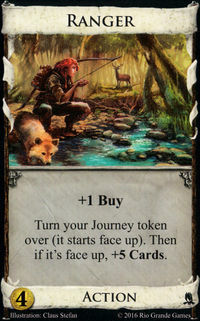 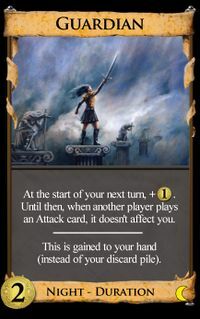 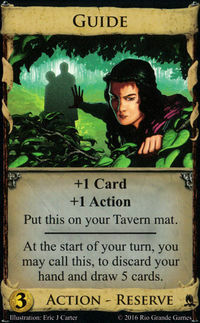 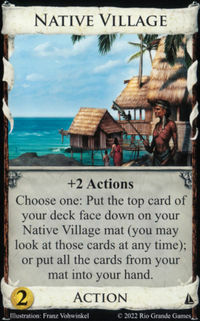 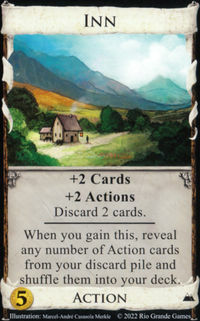 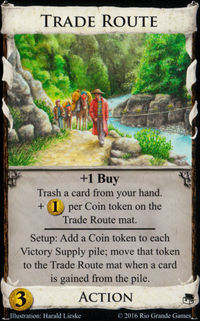 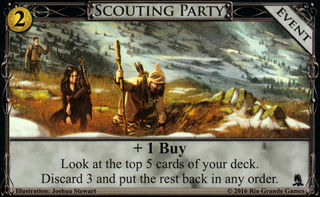 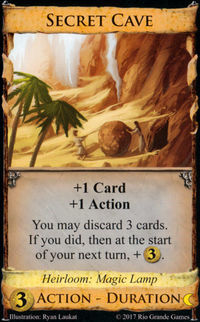 There are also direct counters to deck top attacks like Jack of all Trades , Farming Village , Scrying Pool , Golem , Sage , Oracle , Native Village , Lookout , Doctor , Chancellor , Scavenger , Adventurer , Venture , and Scout . 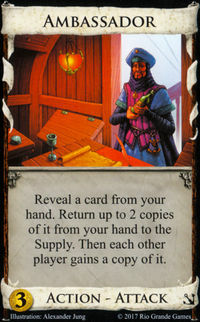 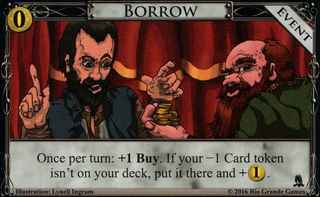 It is also important to note that unlike Rabble , the wording of Fortune Teller is such that it does not skip dual-type Victory cards. 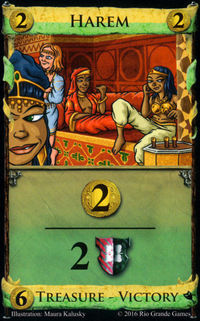 Nobles and Harems can be drawn more often rather than less often since the Fortune Tellers seek them out. 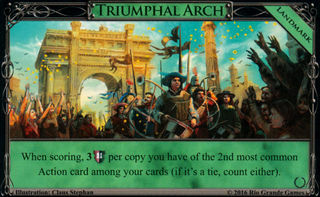 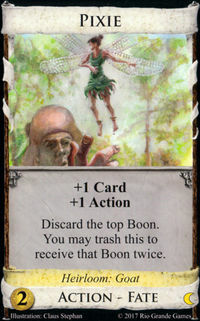 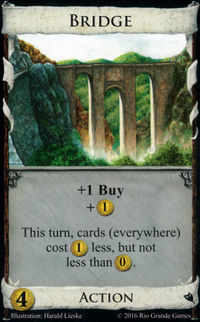 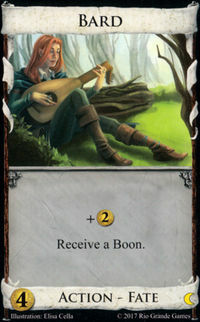 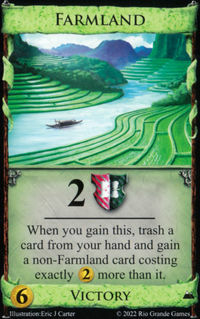 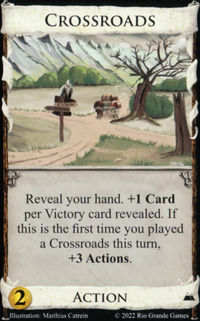 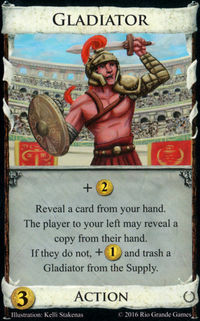 You can also go for cards that like to have Victory cards in hand like Baron , Crossroads , or Tournament . 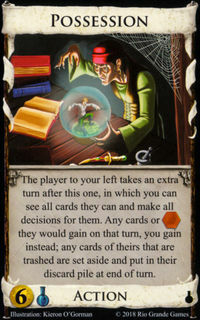 There are a few specific combos that can take advantage of the deck-top attack of Fortune Teller. 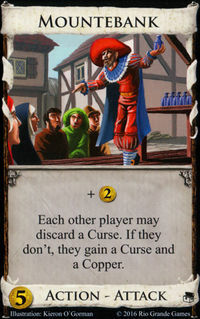 You can combine it with Jester to give guaranteed Curses, though you lose the normal effect of the attack unless you play a second one. 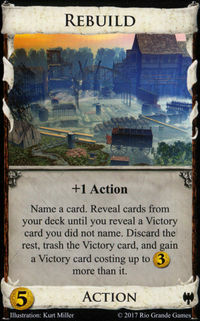 You can also use to to target down Victory cards to trash with Saboteur . 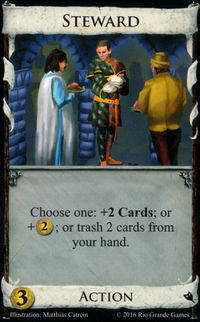 When followed by a Minion, it essentially forces a 3-card hand. 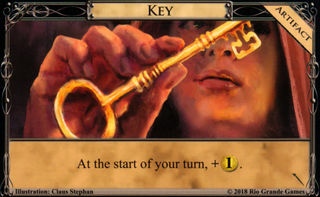 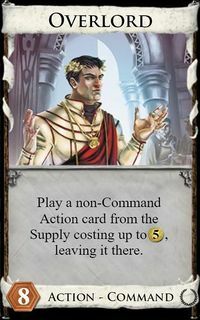 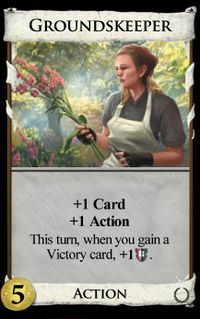 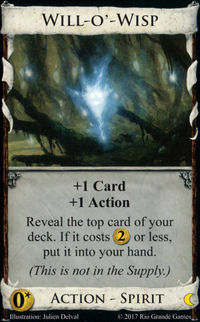 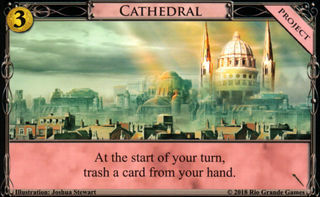 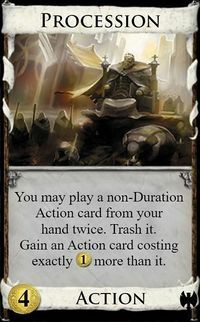 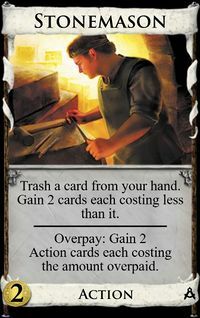 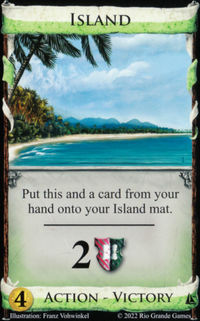 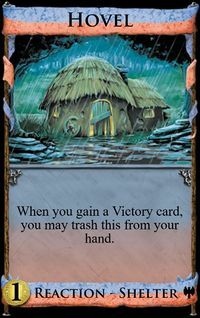 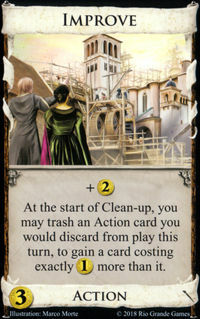 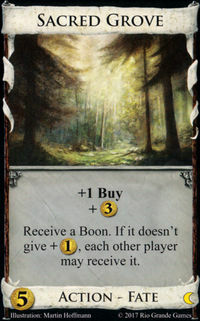 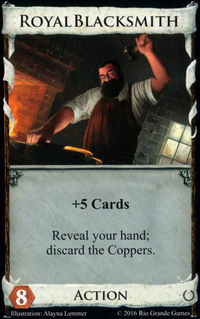 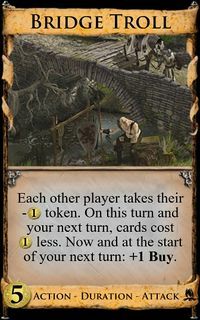 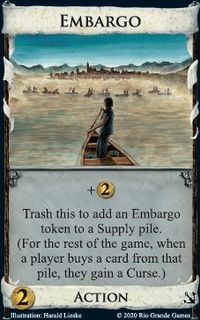 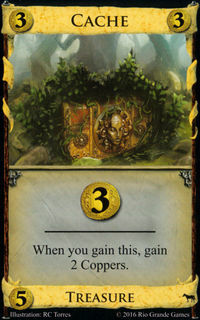 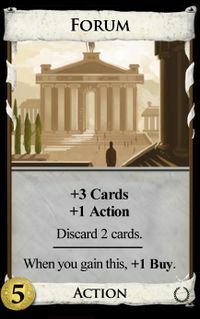 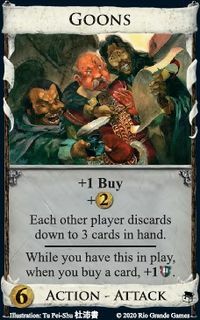 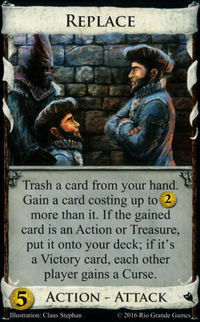 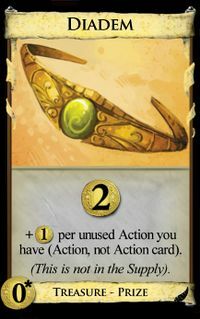 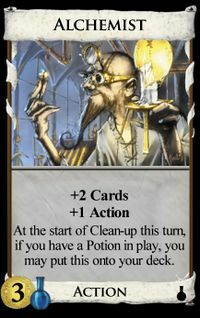 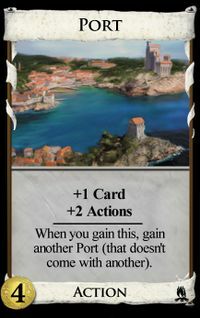 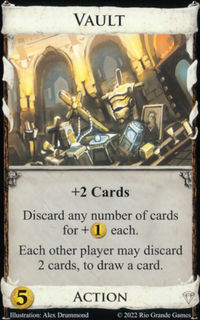 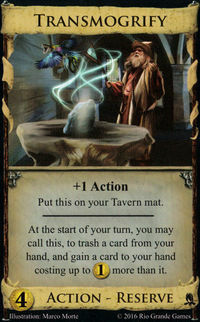 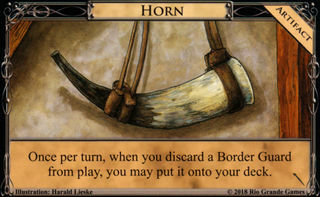 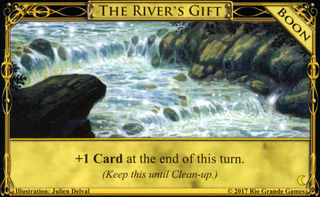 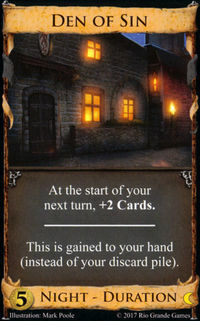 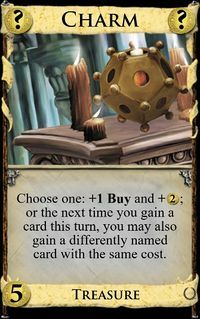 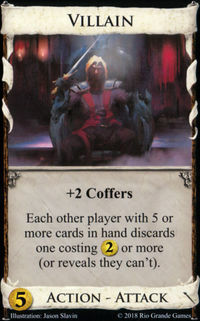 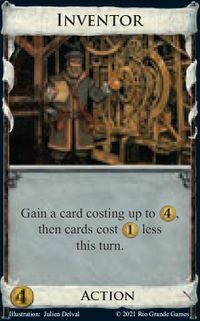 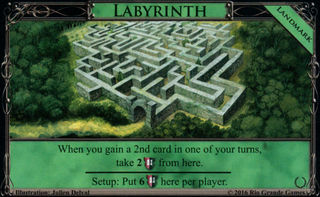 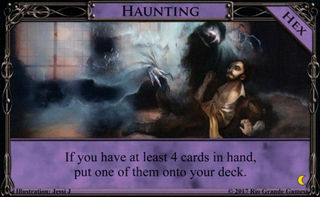 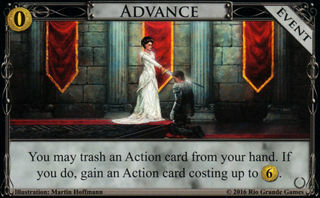 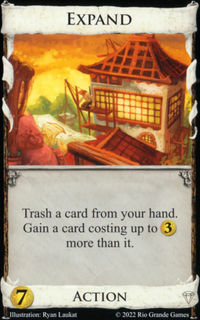 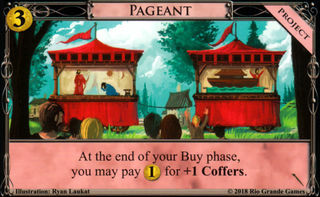 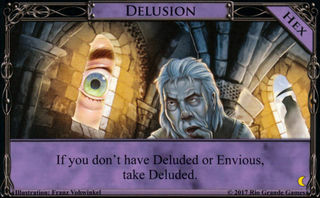 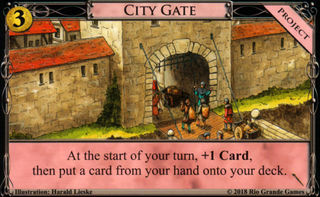 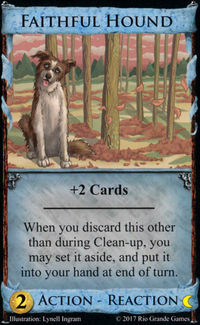 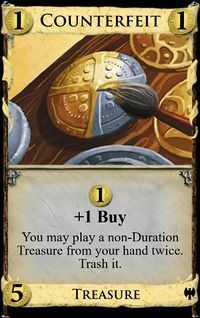 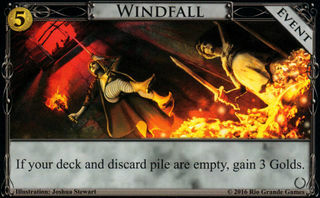 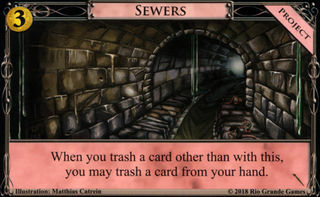 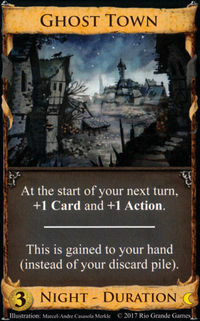 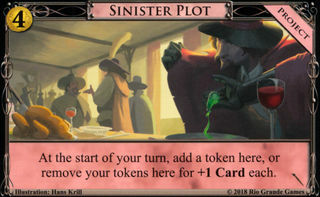 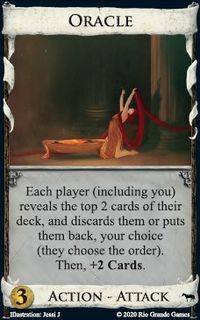 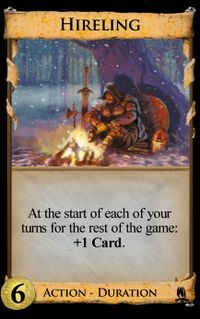 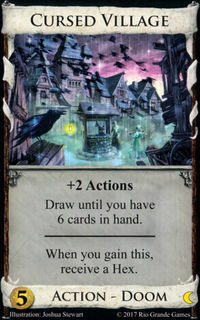 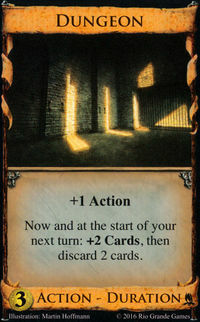 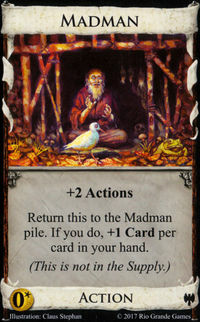 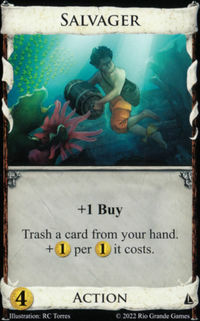 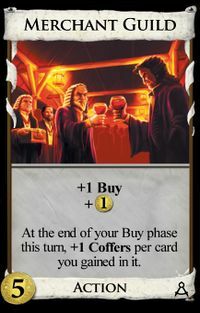 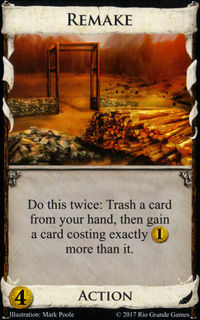 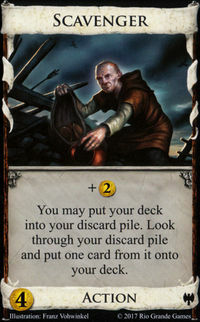 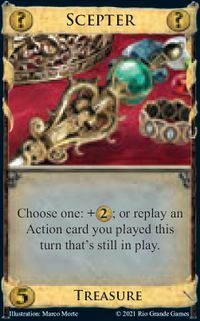 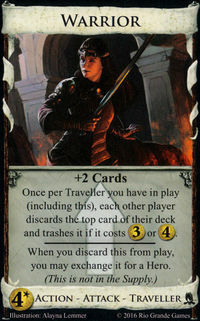 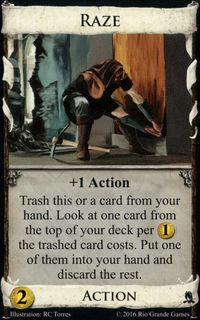 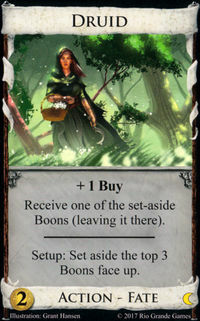 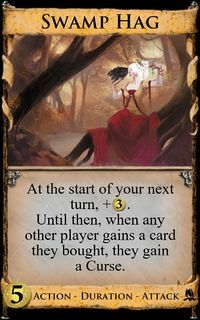 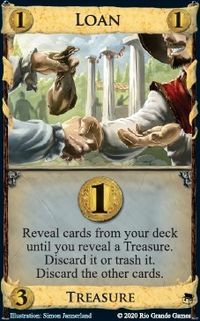 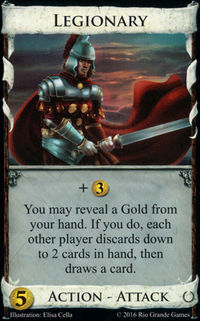 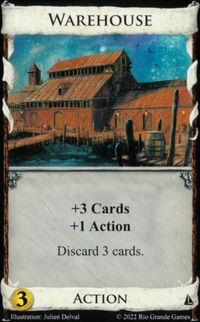 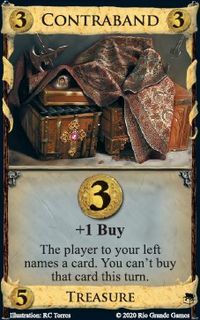 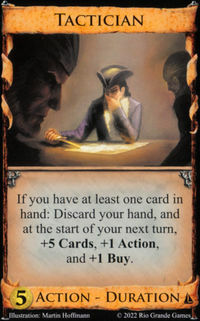 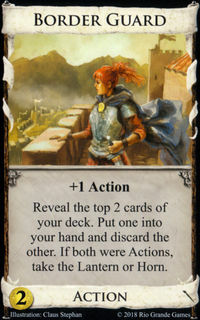 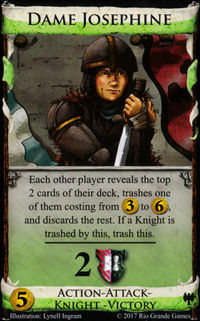 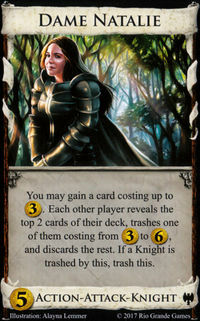 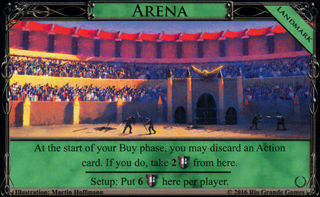 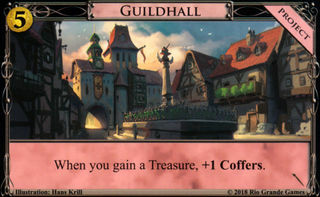 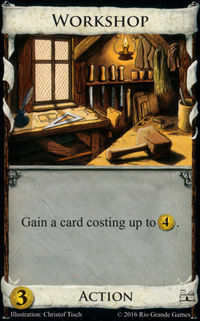 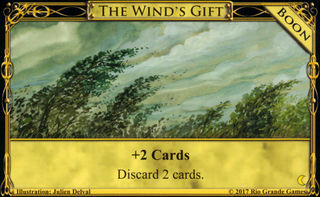 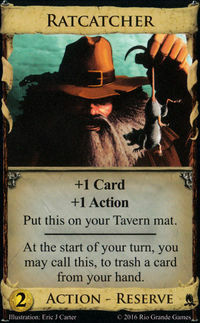 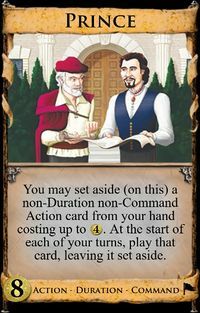 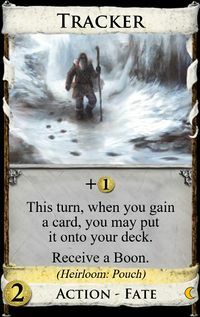 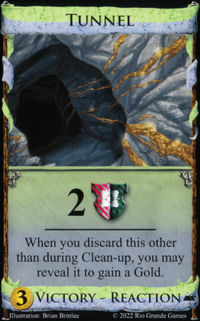 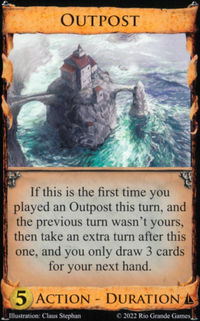 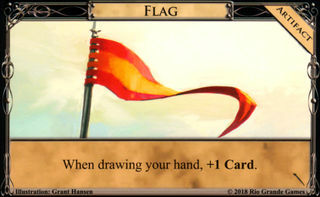 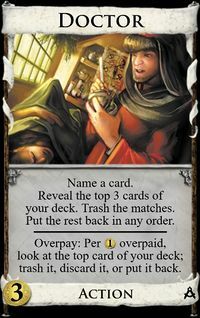 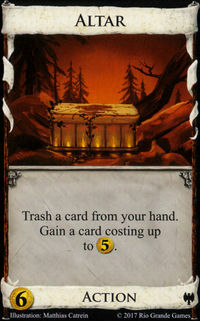 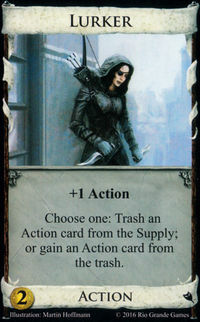 It can also be used to mitigate the potential benefits your opponent could get from your plays of Margrave , Council Room , Vault , or Governor for cards by ensuring the card your opponent draws is junk. 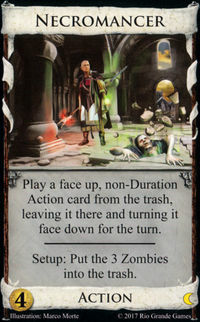 Then of course there's the anti-combo with other deck top attacks. 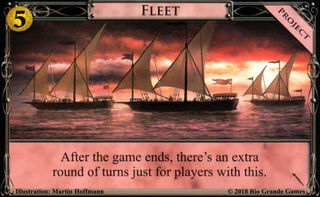 You can only make the top of their deck so bad. 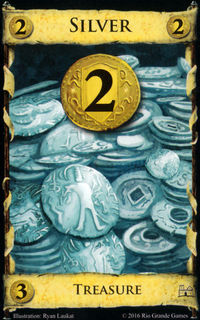 If your other attack already put a Victory card on top, Fortune Teller won't do anything. 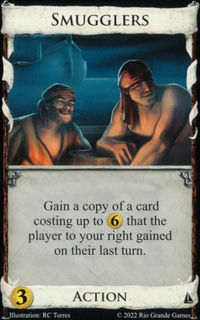 In Obi Wan Bonogi's engine vs my HP+Salvager Here I figure that with Hunting Party and Salvager, this game should go pretty quickly, but Obi Wan has other ideas. 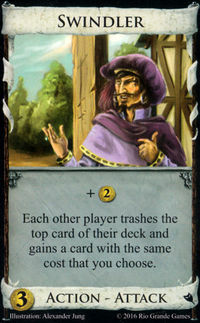 He picks up a Fortune Teller which he proceeds to play nearly every turn, slowing me enough that he’s able to hold me to 3 Provinces in 16 turns. 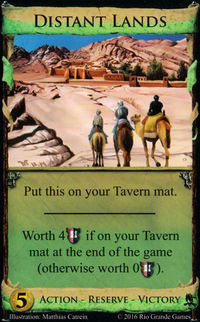 Against lespeutere’s Silk Roads Lespeutere goes for Nomad Camps and Silk Roads, which is countered quite strongly by my Apprentice + Fortune Teller. 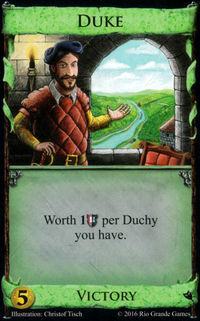 The constant attack delays his collection of Silk Roads and then makes it difficult to afford Duchies. 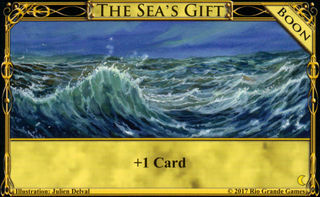 In a Sea Hag slog with Rabid With Sea Hag giving Curses and no handsize inceasing other than Moat, this game is bound to be a slog. 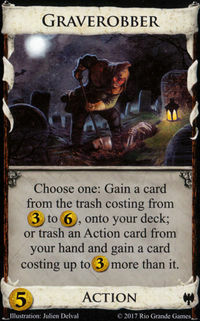 Rabid opts for a second Hag to win the Curse split while I prefer to get an early Fortune Teller to provide economy while still allowing me to attack. 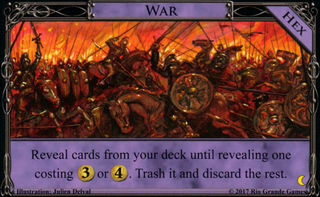 (Note that the immediate impact of both attacks is nearly identical: skip card(s) and leave junk on top.) 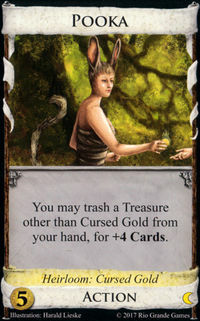 I do end up losing the Curse split, but my deck builds up much faster, and by the time I take my sixth Curse, it’s turn 17 and I already have a Platinum. 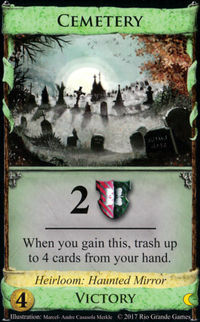 You will also notice that even before that point, he draws just as many dead cards as I do. 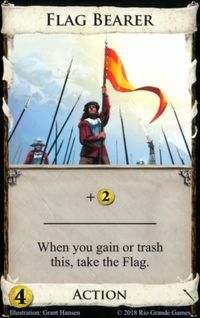 I have a little luck hitting one of his Hags with mine on turn 6, but I’m pretty sure the strategy is still better. 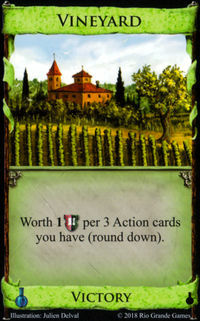 Against qmech’s Embassy big money Nobles + Vineyards probably indicates engine here anyway, but qmech decides to go for Embassy big money. 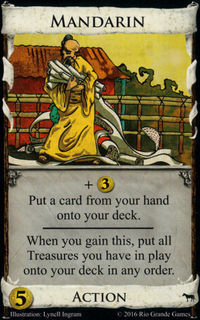 I counter by adding a Fortune Teller which helps to make sure he can’t end it too quickly. 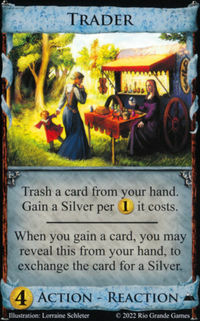 This one ends up not being close enough that the Fortune Teller really won the game, but if there are Gardens instead of Vineyards or something it might matter. 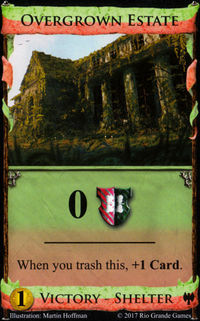 Jeder Mitspieler deckt solange Karten vom Nachziehstapel auf, bis er entweder eine Punktekarte oder eine Fluchkarte aufgedeckt hat. 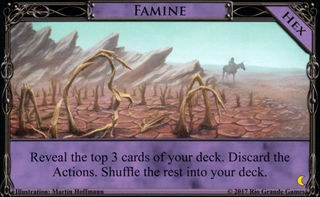 Diese legt er oben auf den Nachziehstapel. 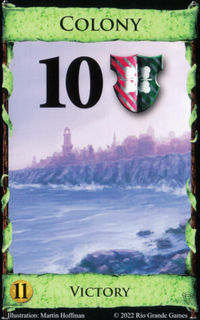 Die anderen aufgedeckten Karten legt er ab. 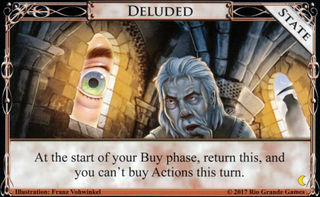 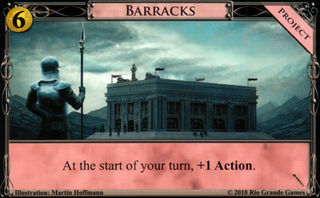 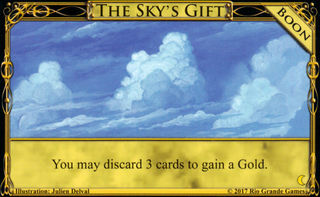 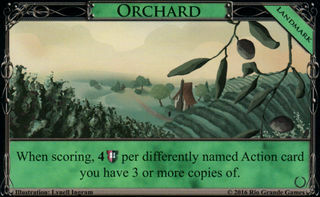 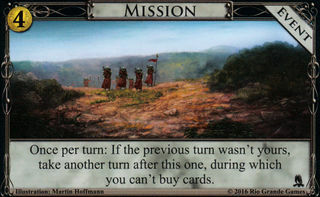 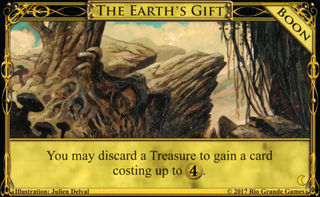 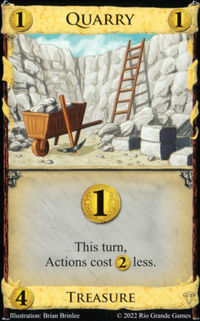 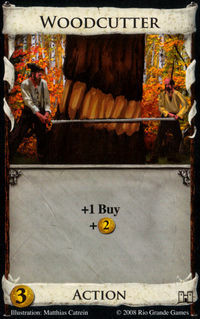 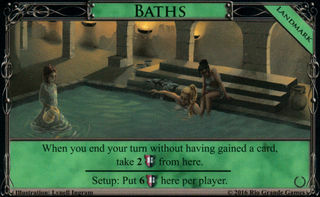 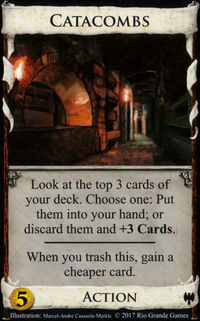 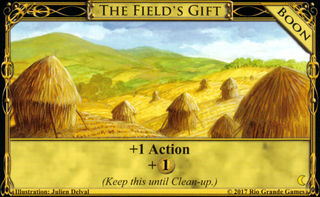 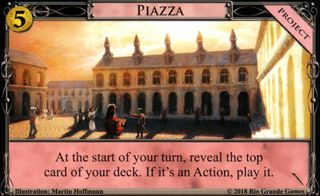 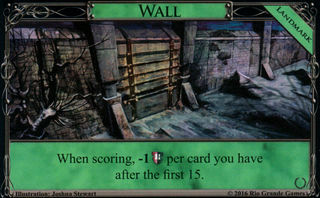 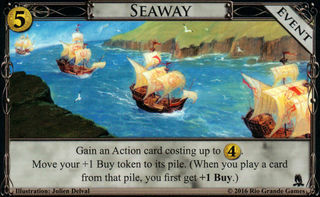 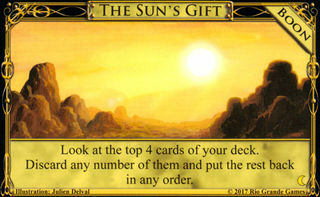 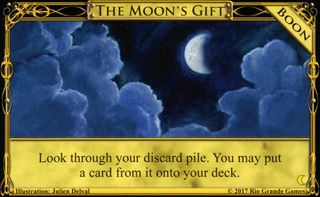 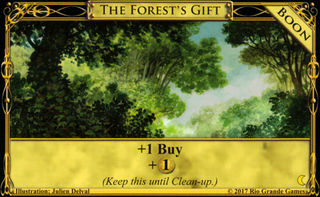 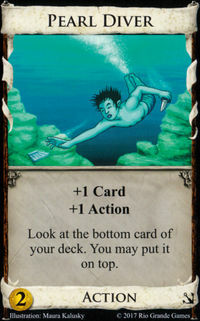 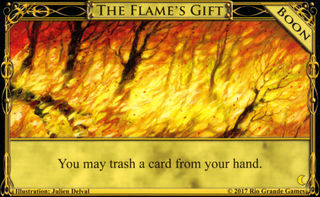 The first version also dug for an action for the top of your own deck. 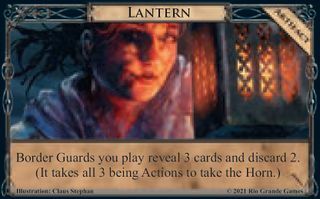 That was too strong. 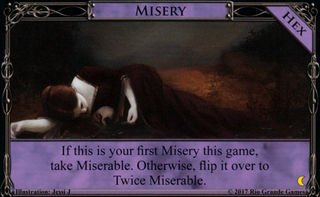 Also it had a dash in the title. 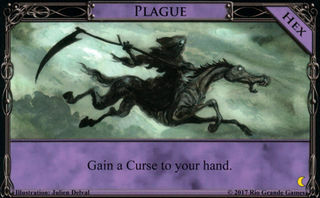 And it didn't stop on Curses, but obv. 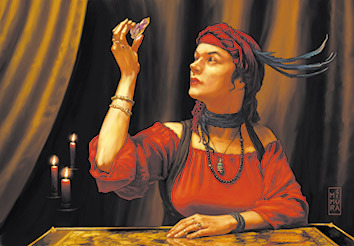 a Fortune Teller should be able to predict that you'll be Cursed. 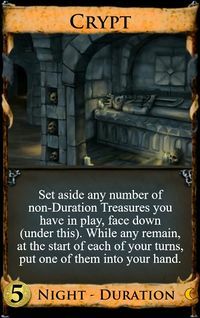 This page was last modified on 30 March 2018, at 00:35.